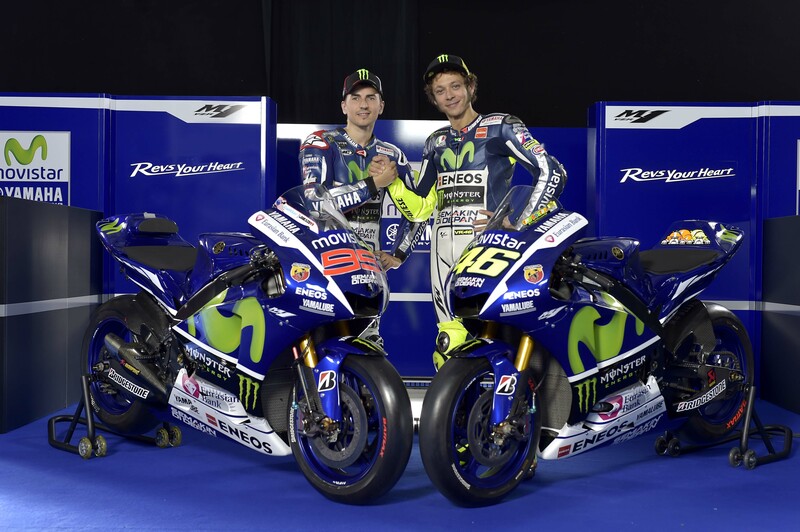 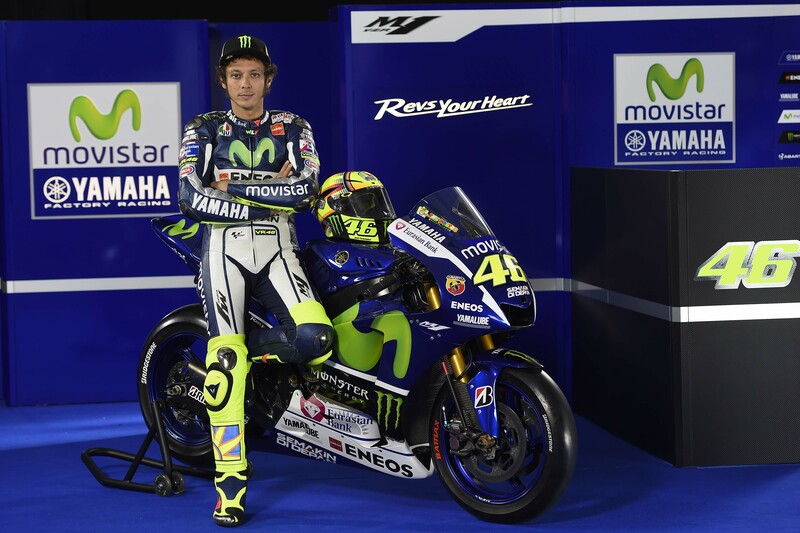 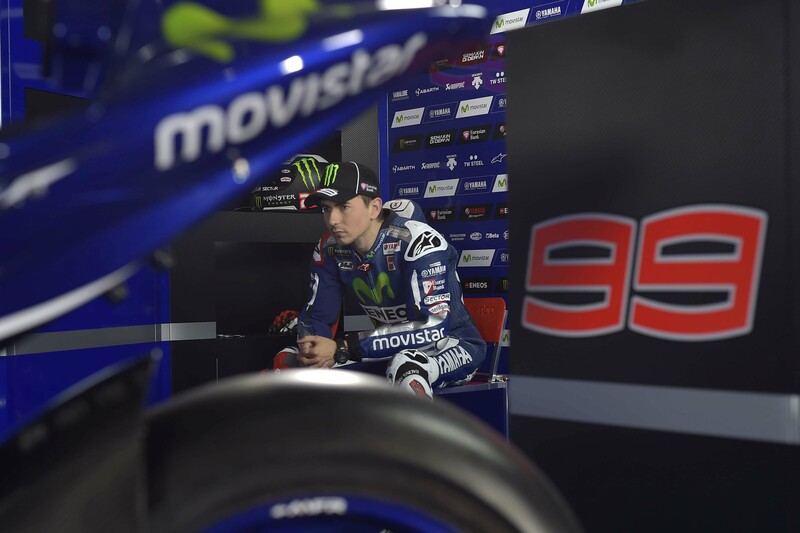 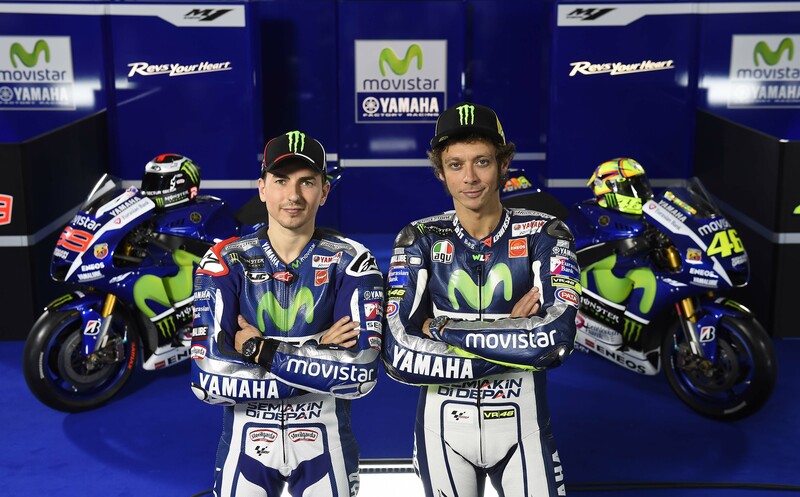 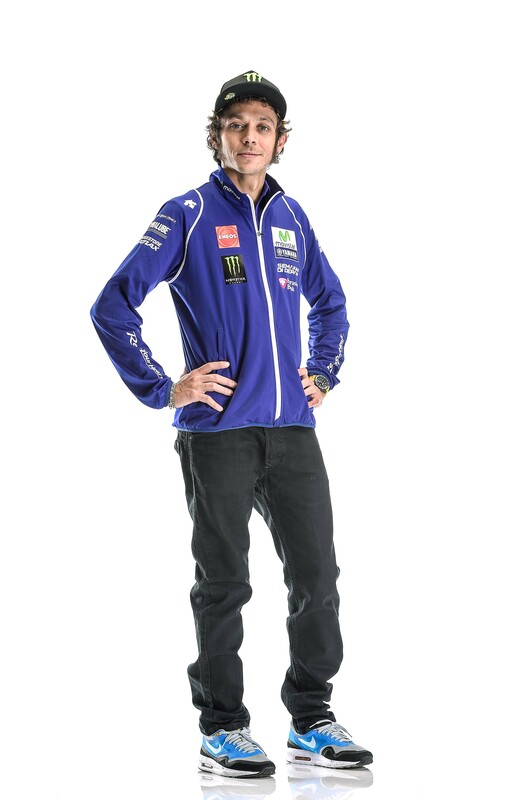 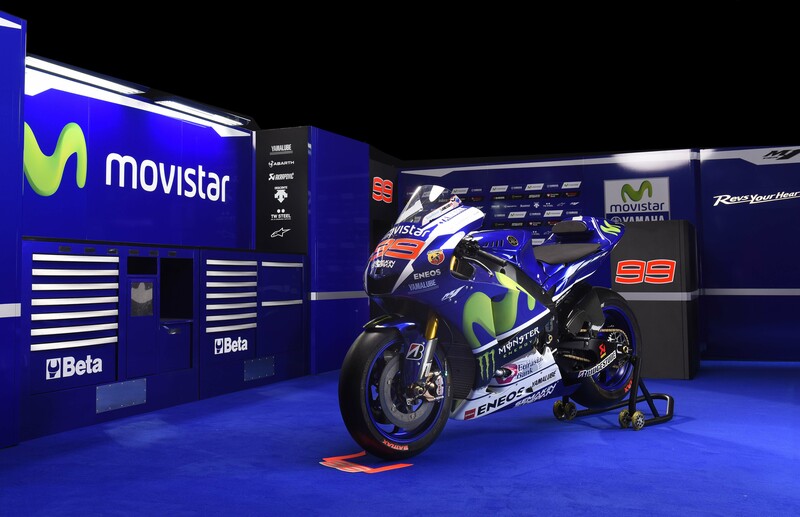 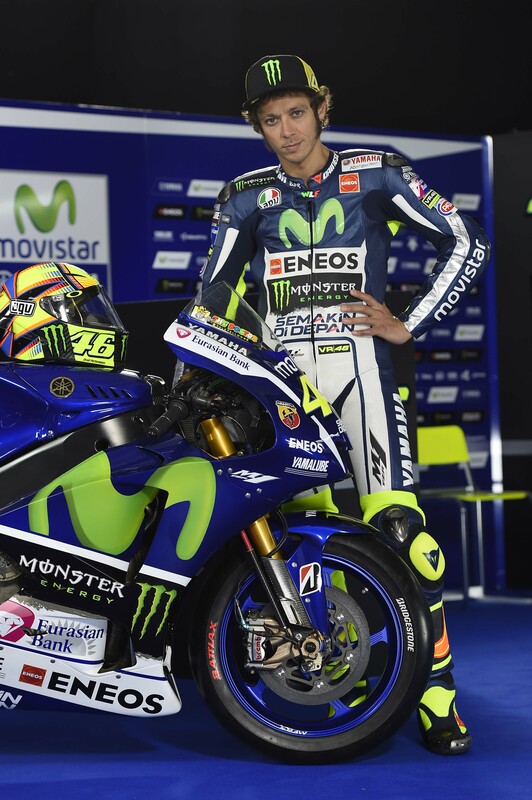 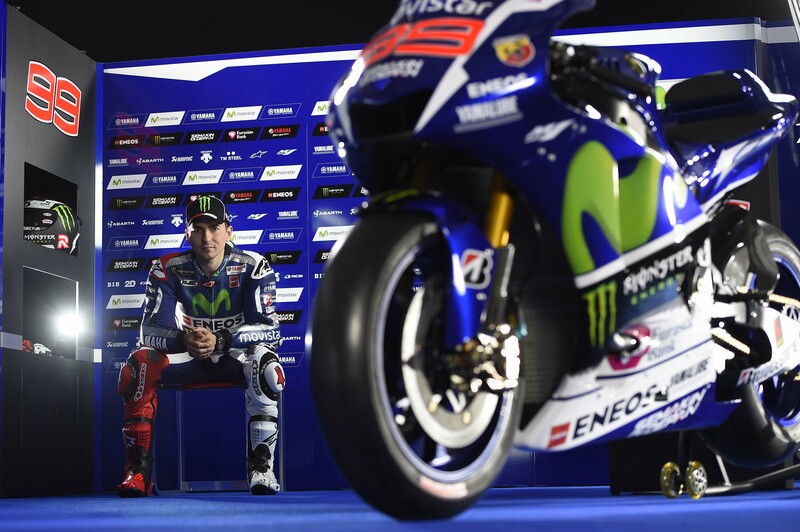 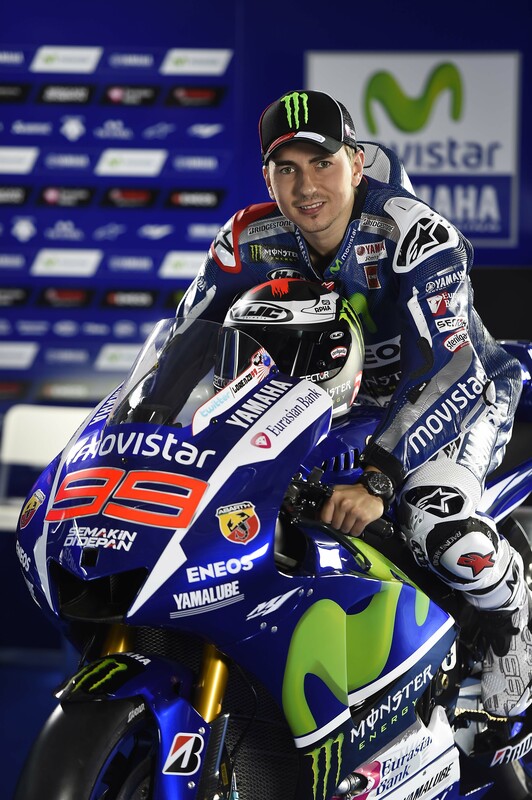 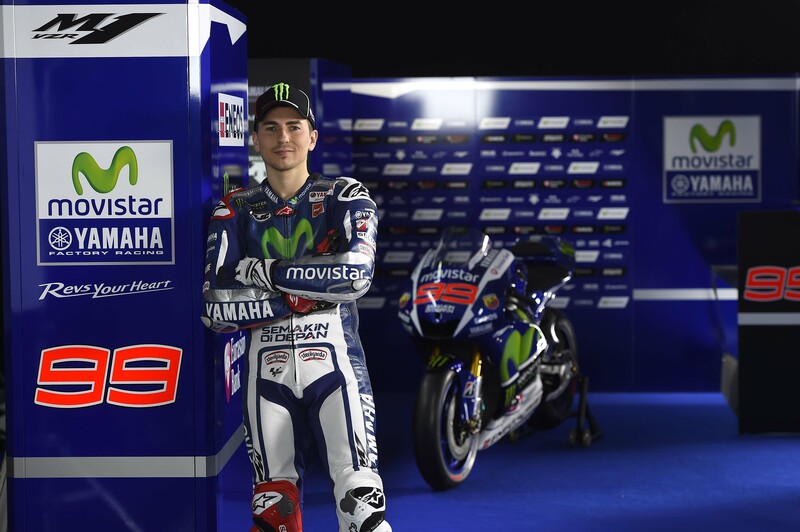 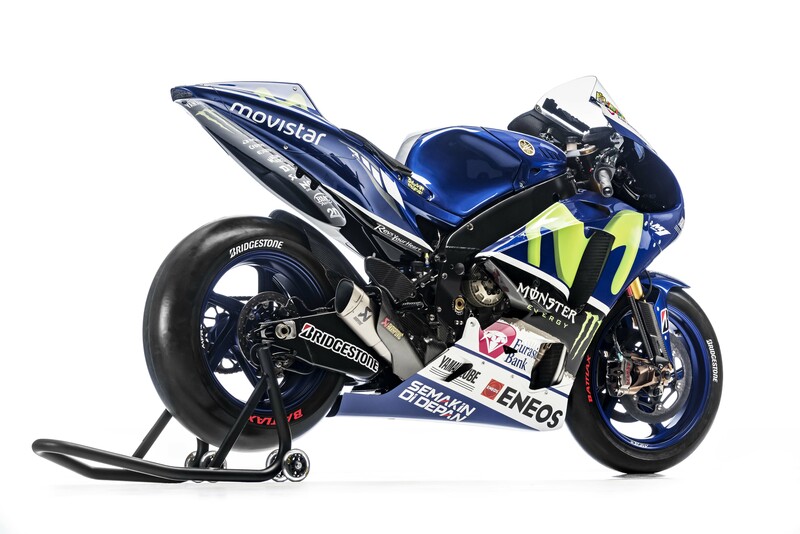 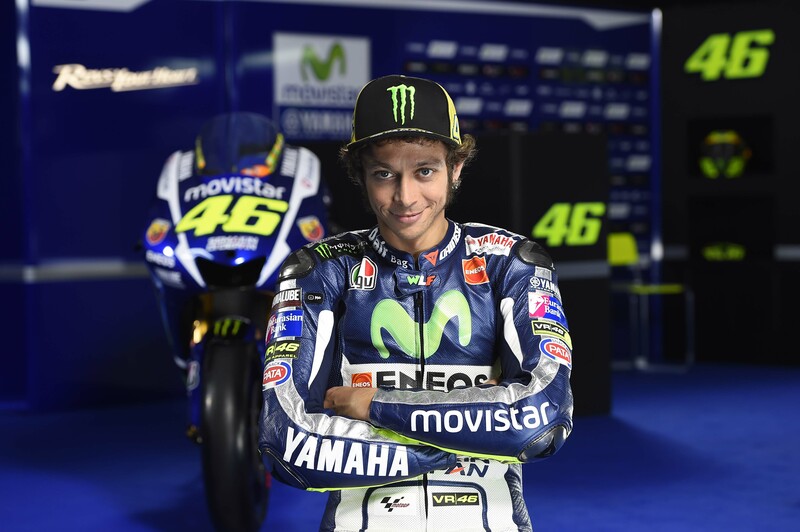 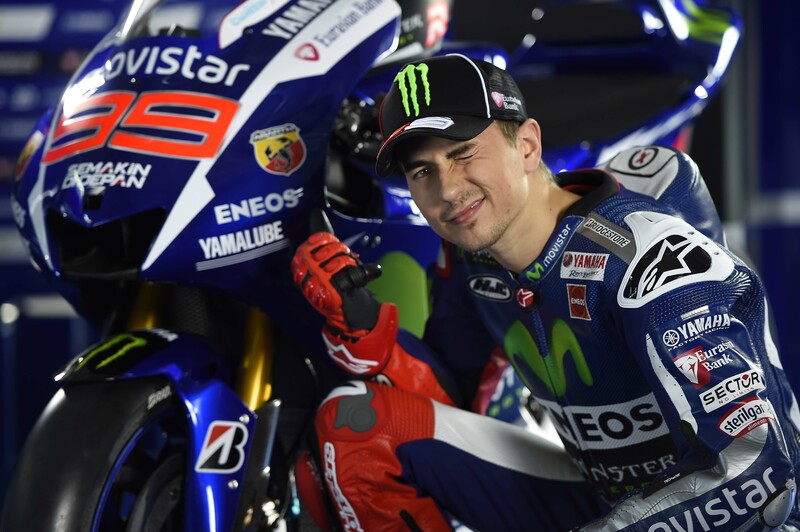 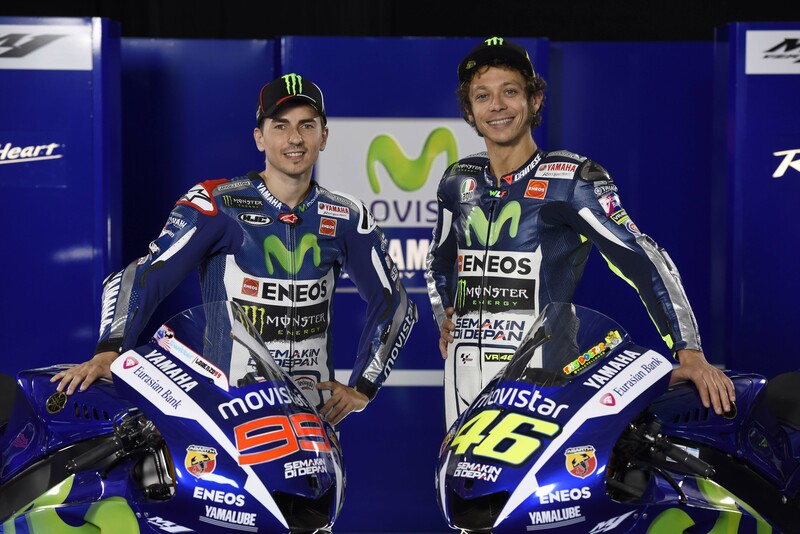 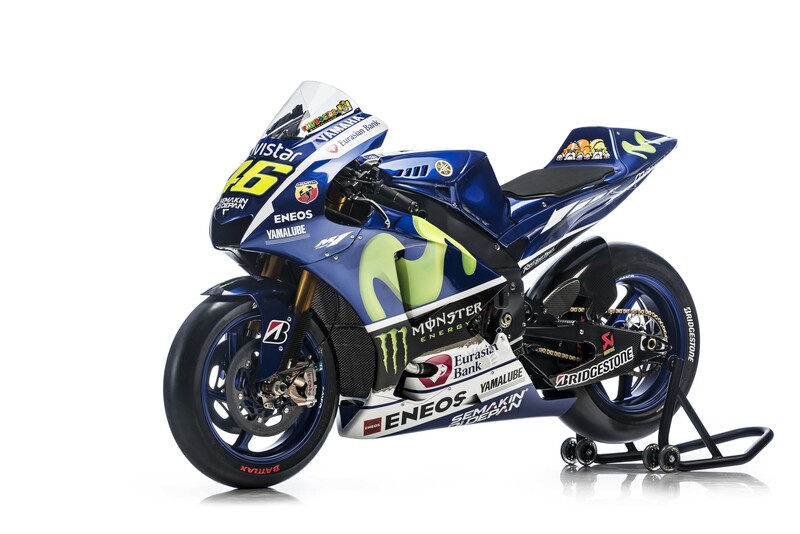 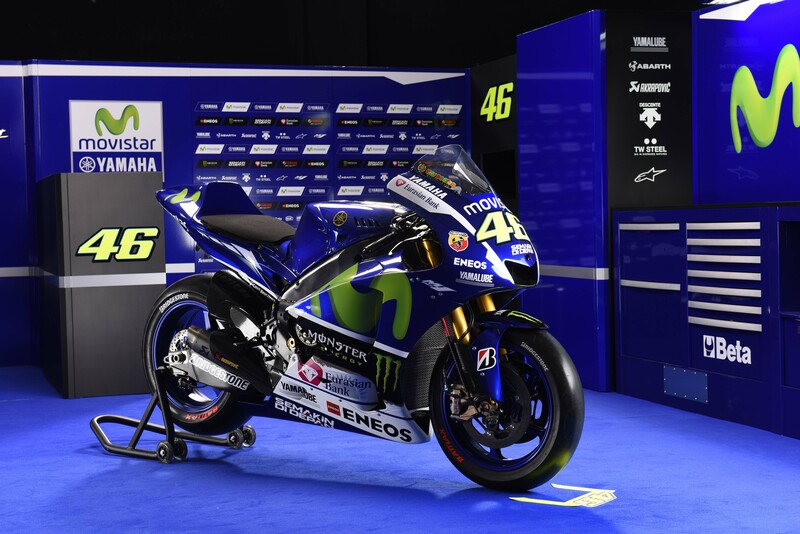 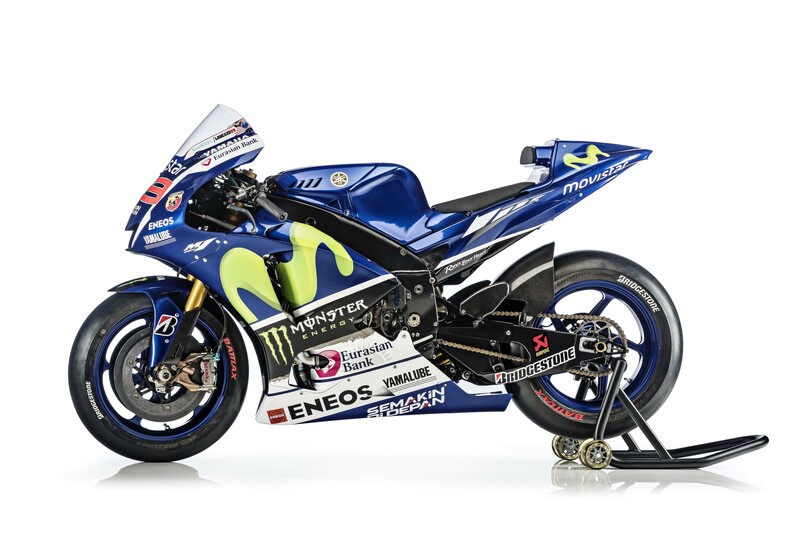 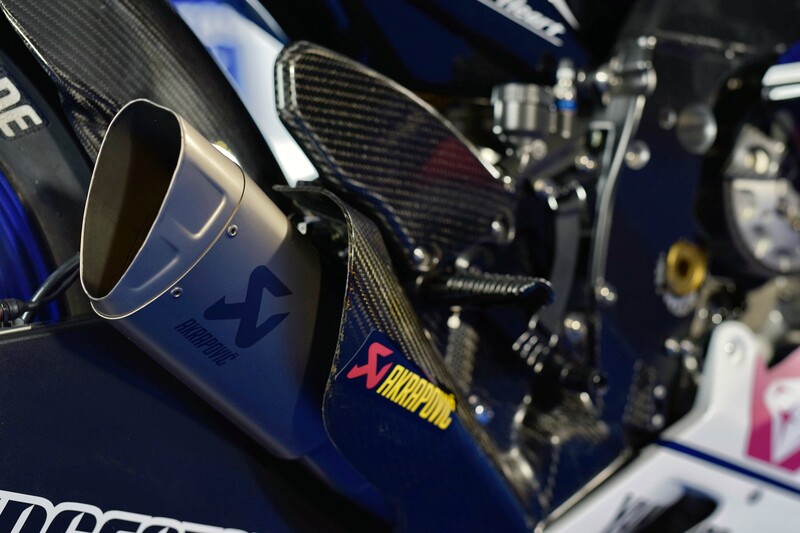 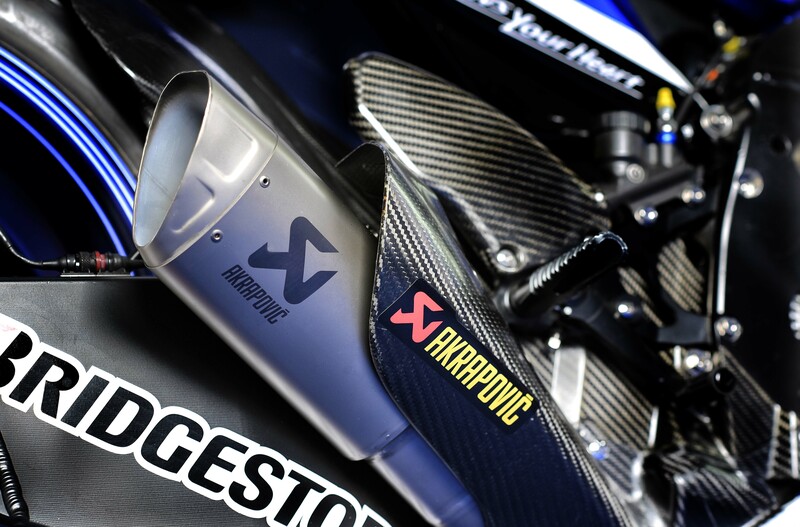 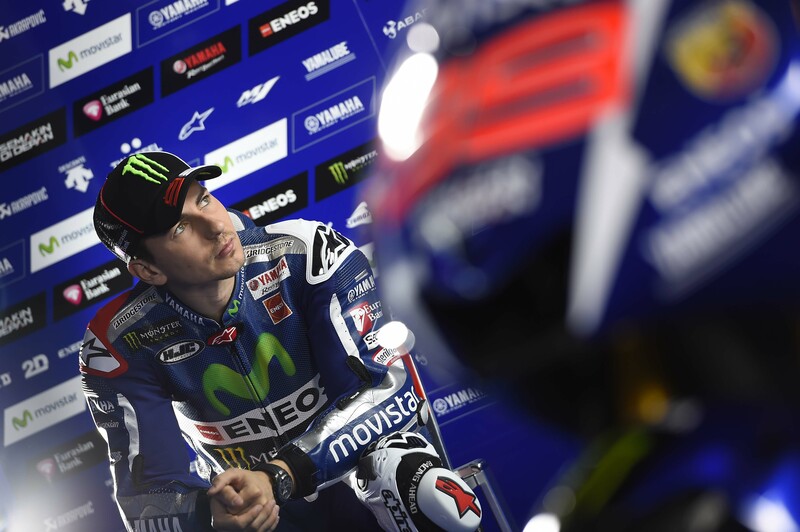 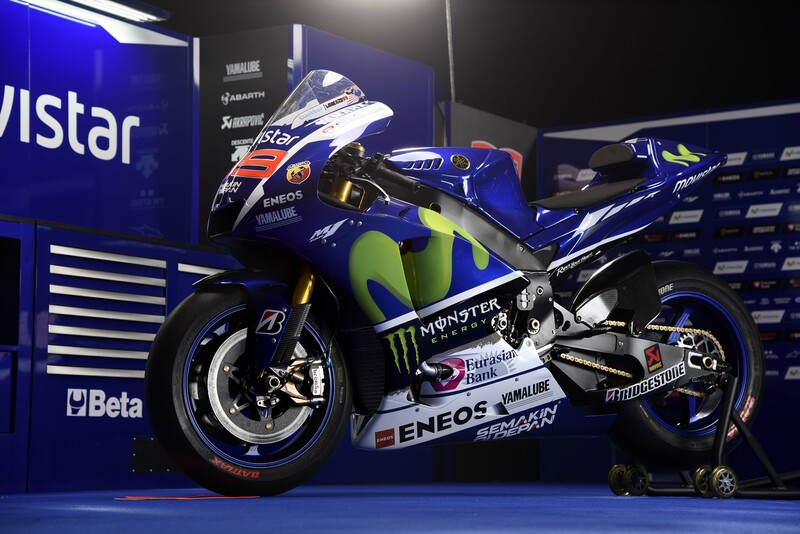 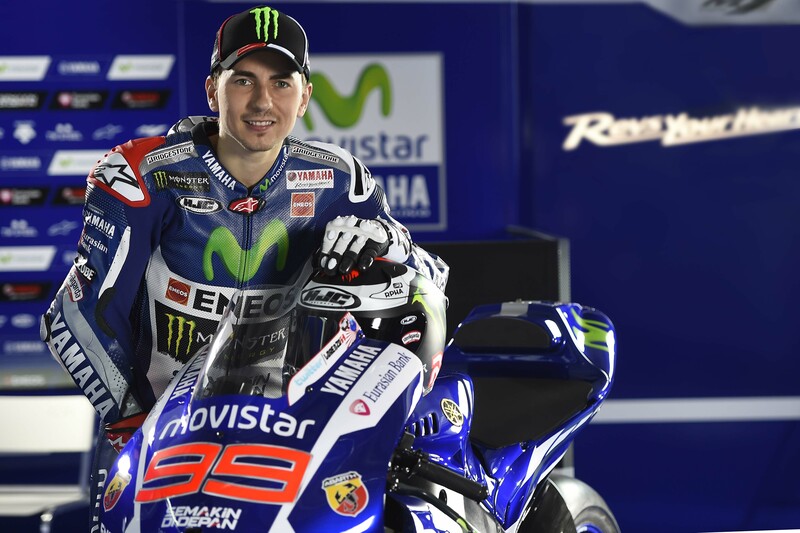 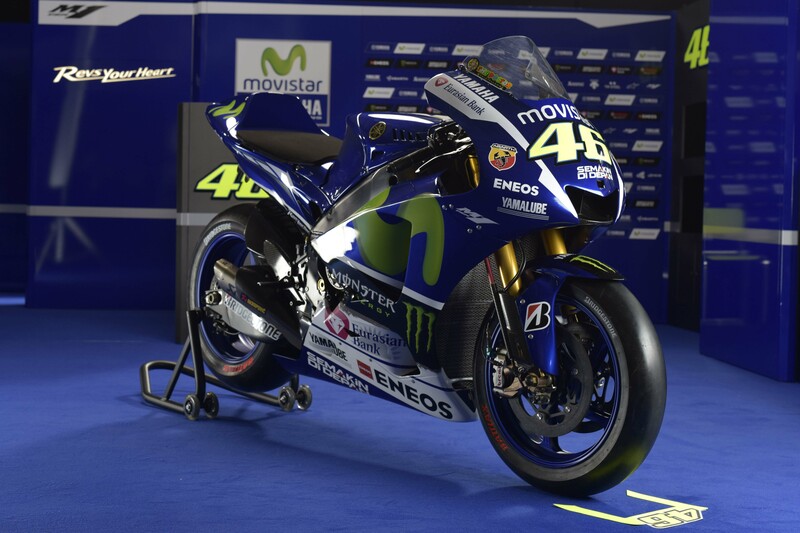 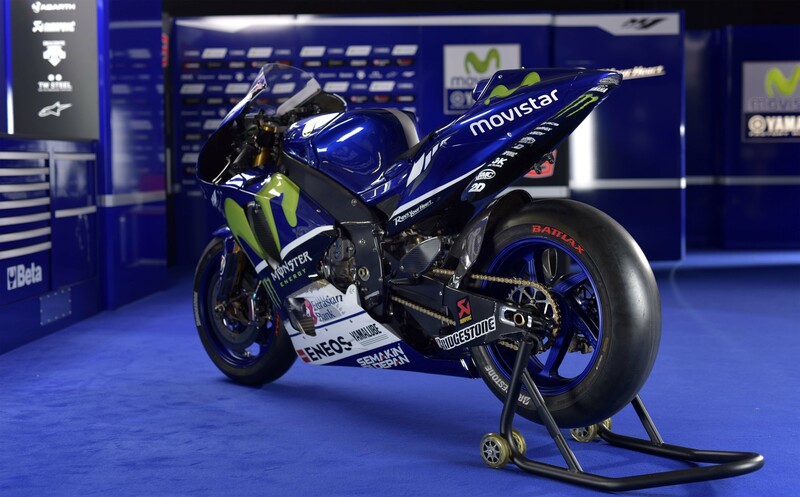 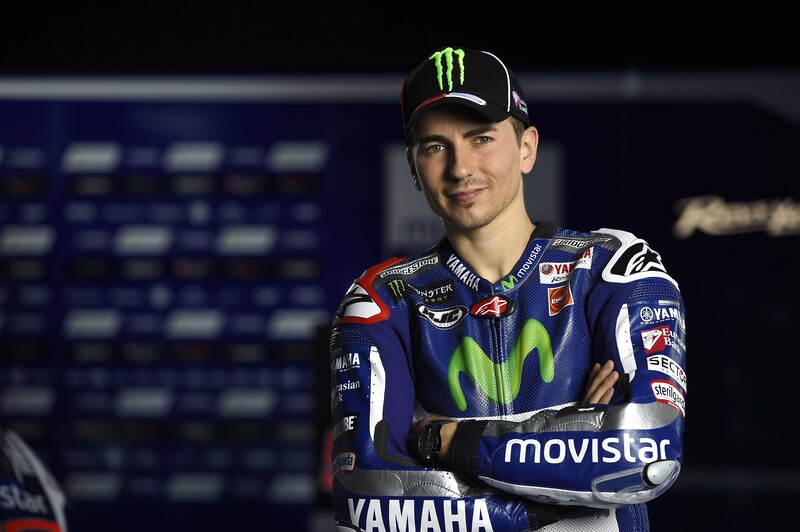 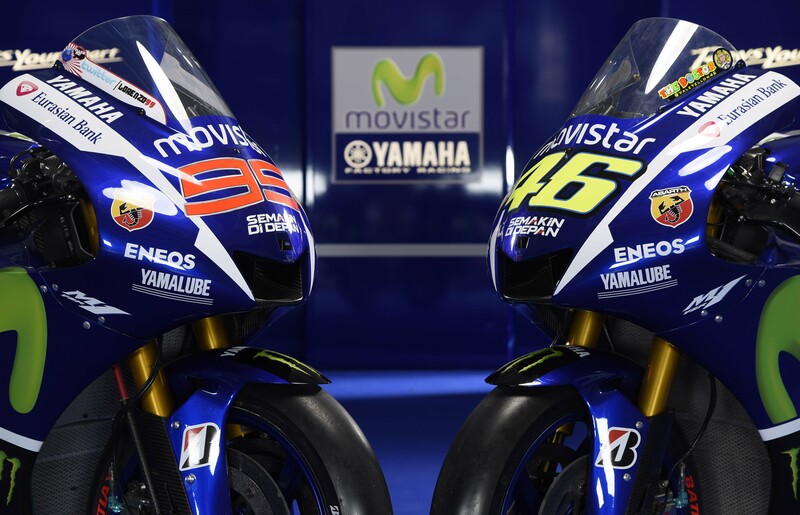 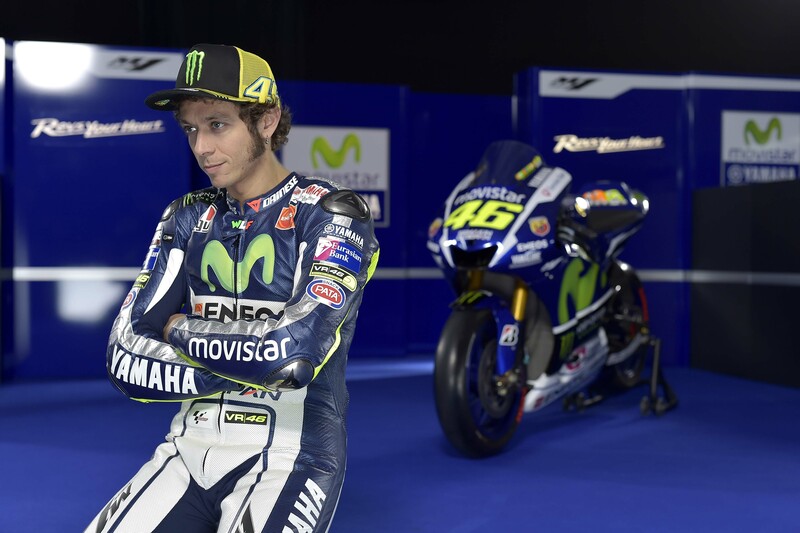 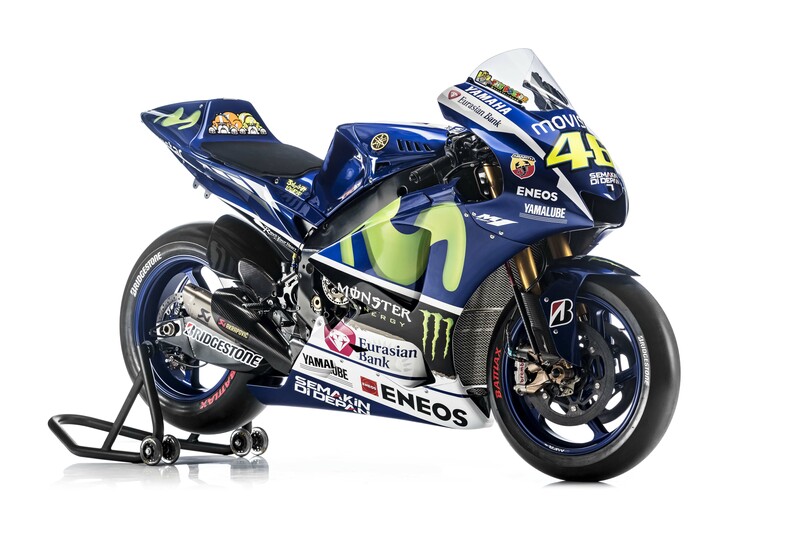 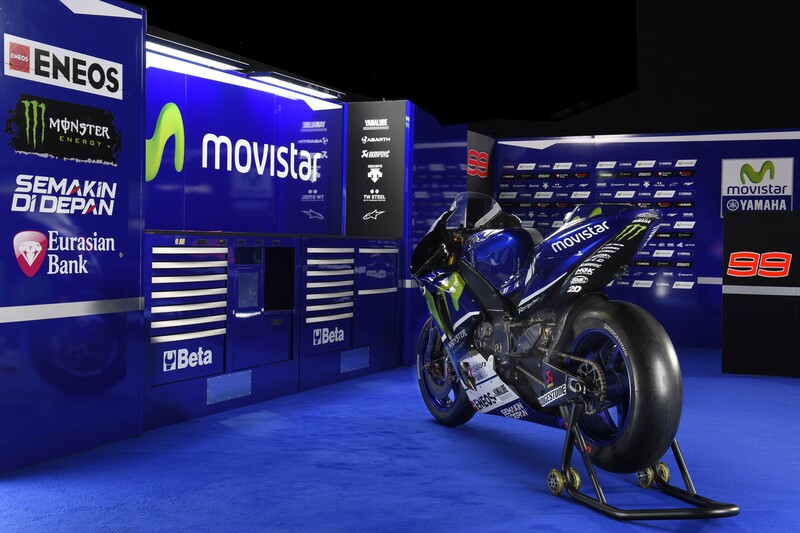 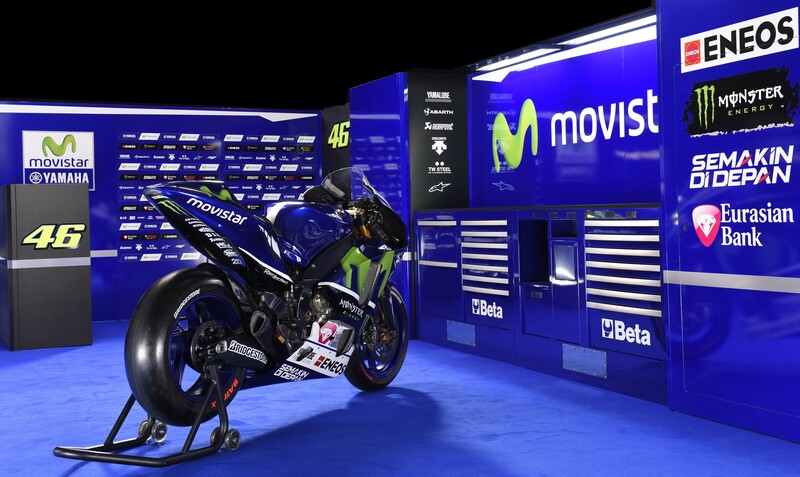 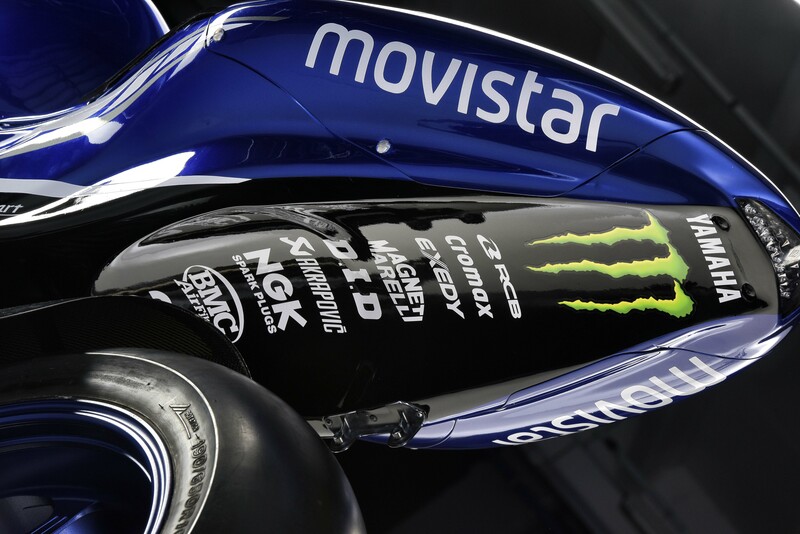 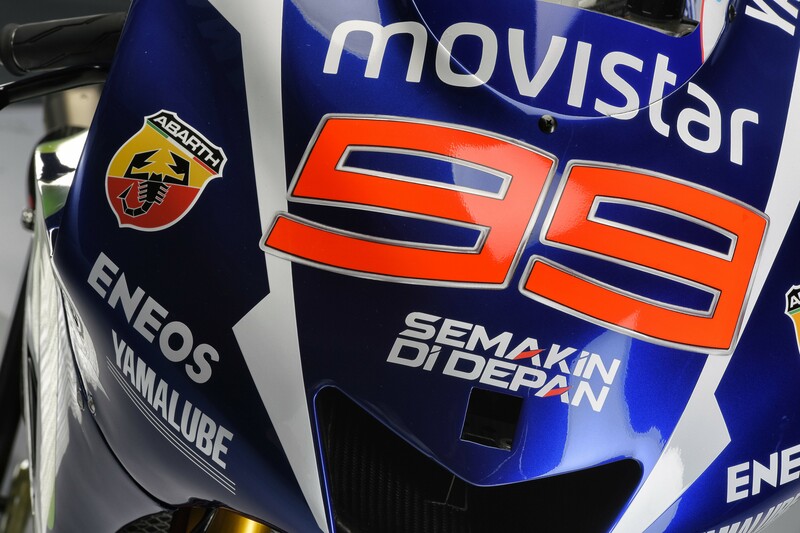 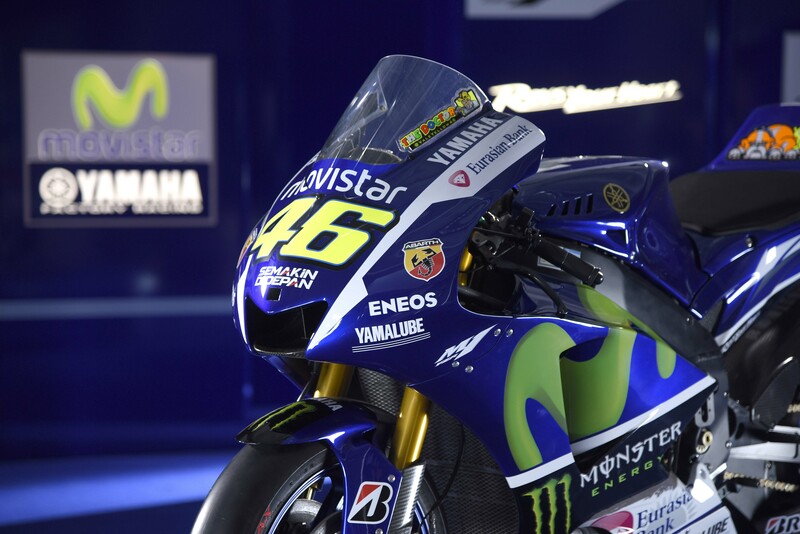 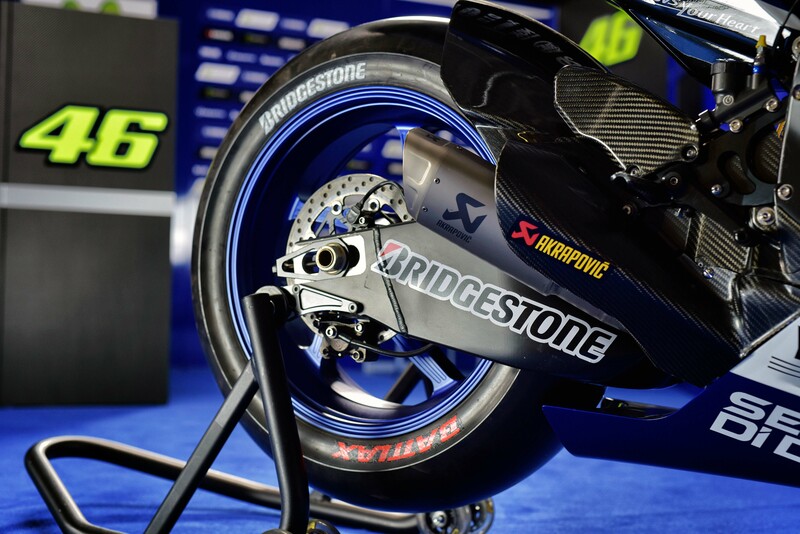 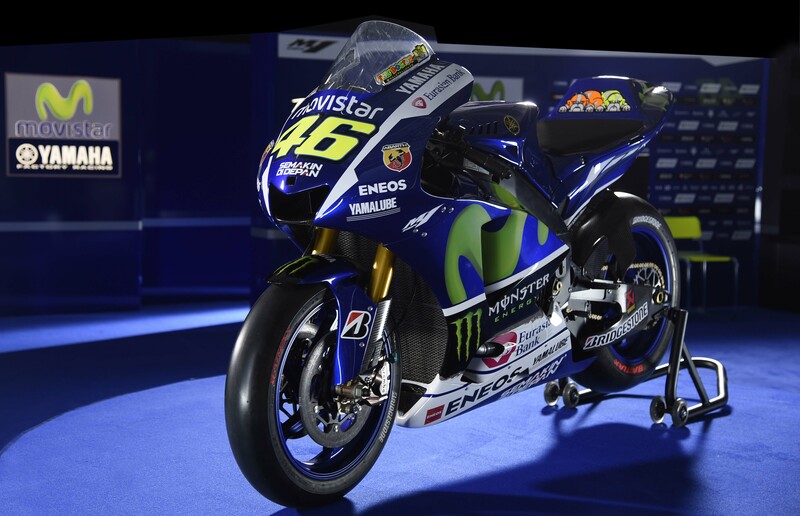 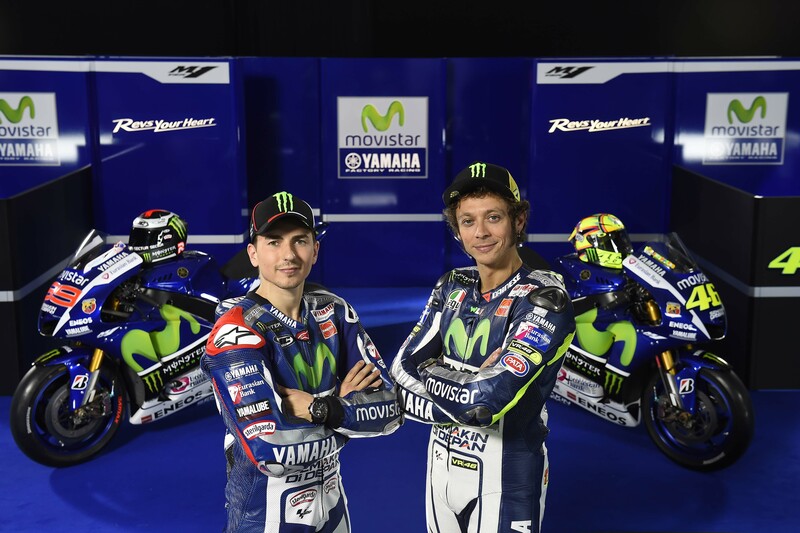 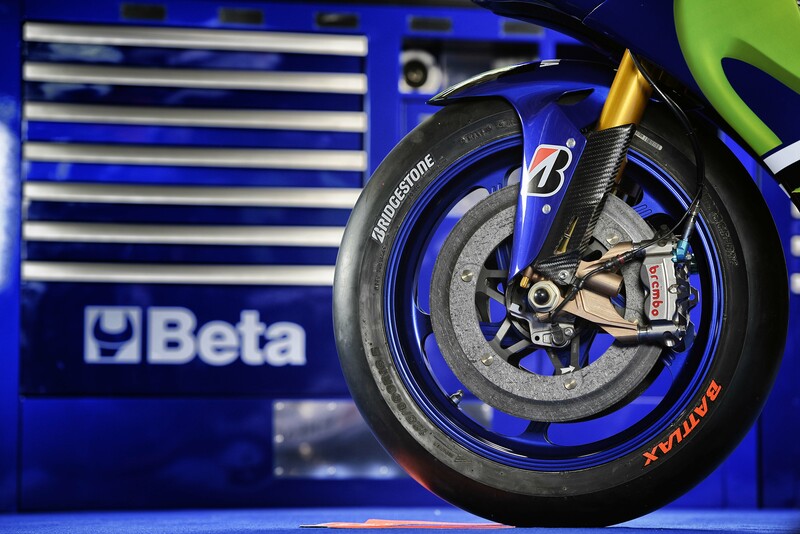 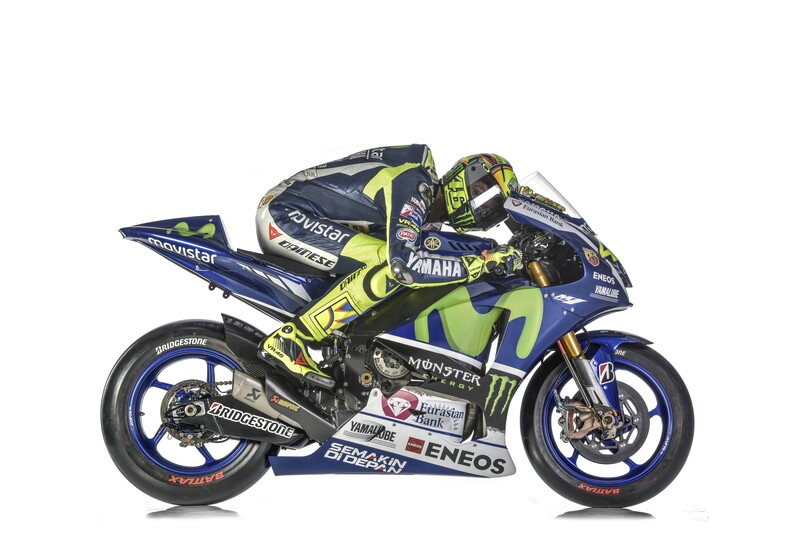 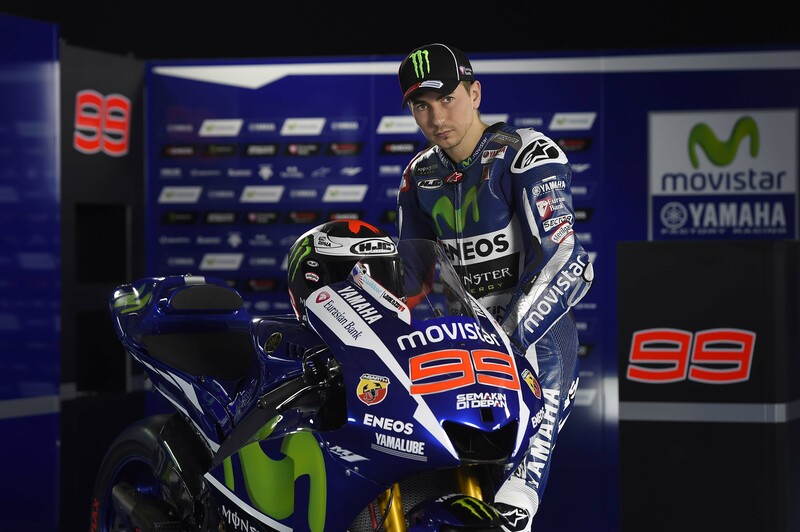 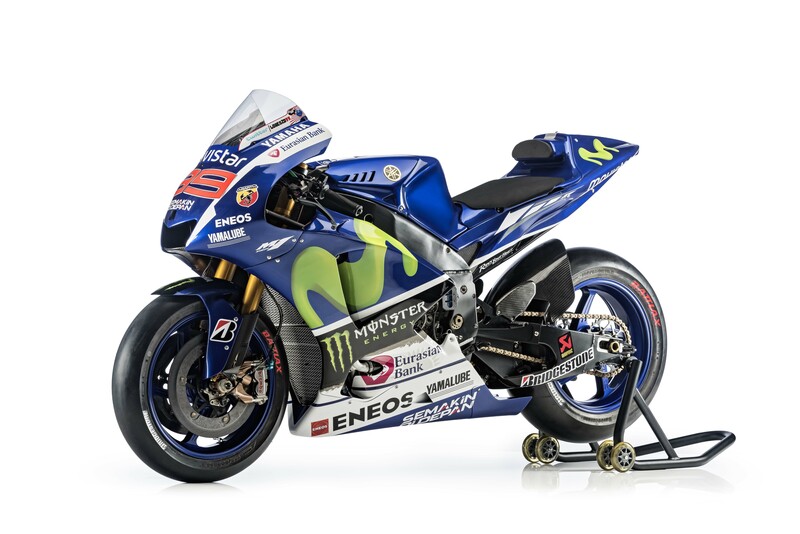 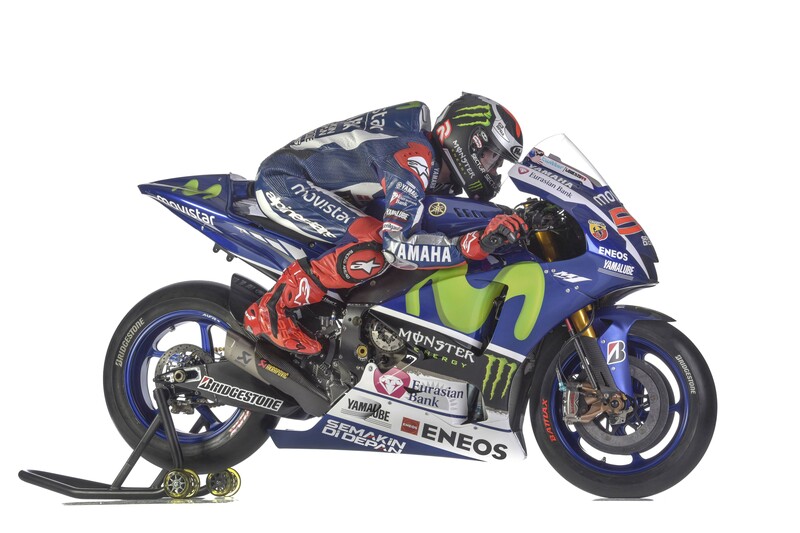 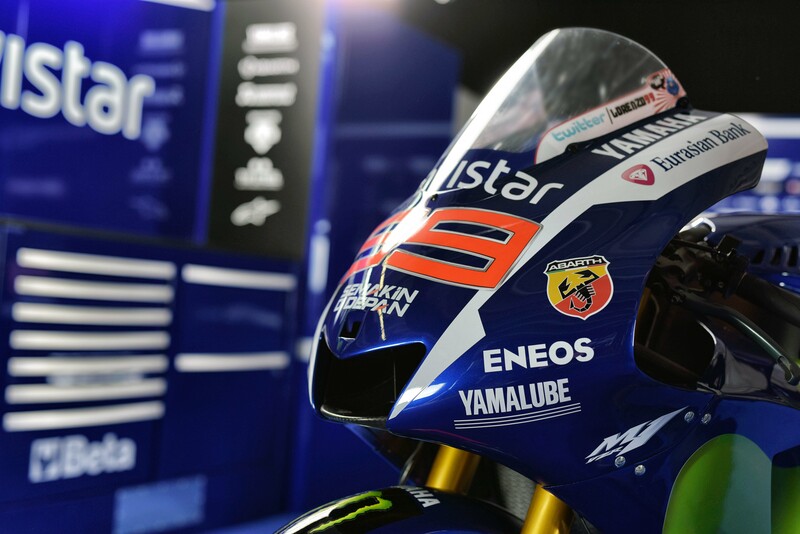 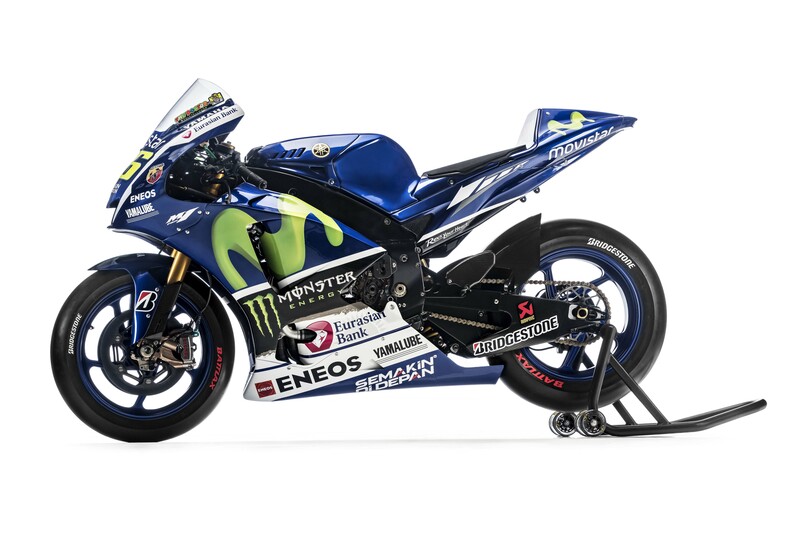 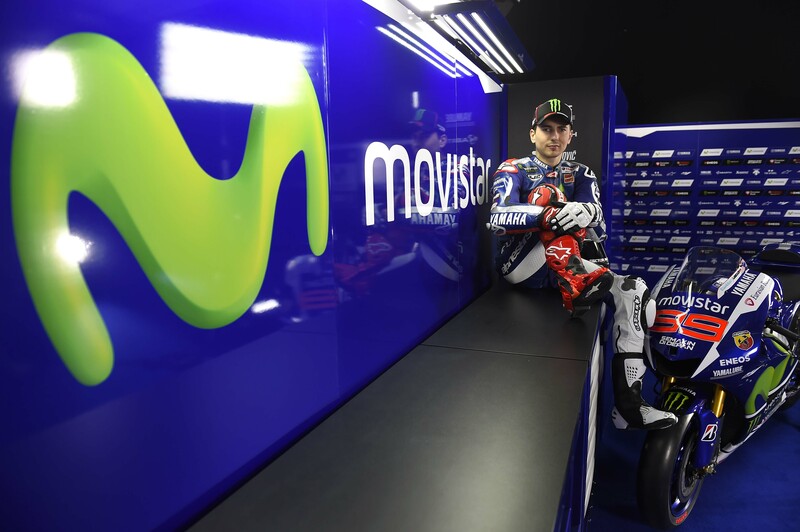 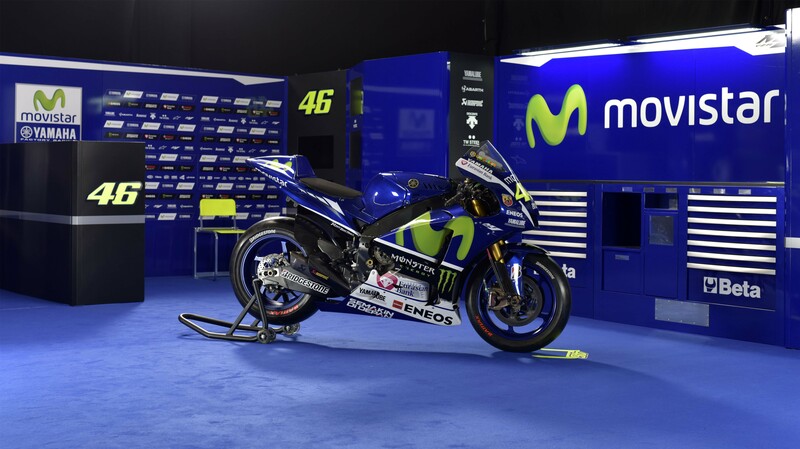 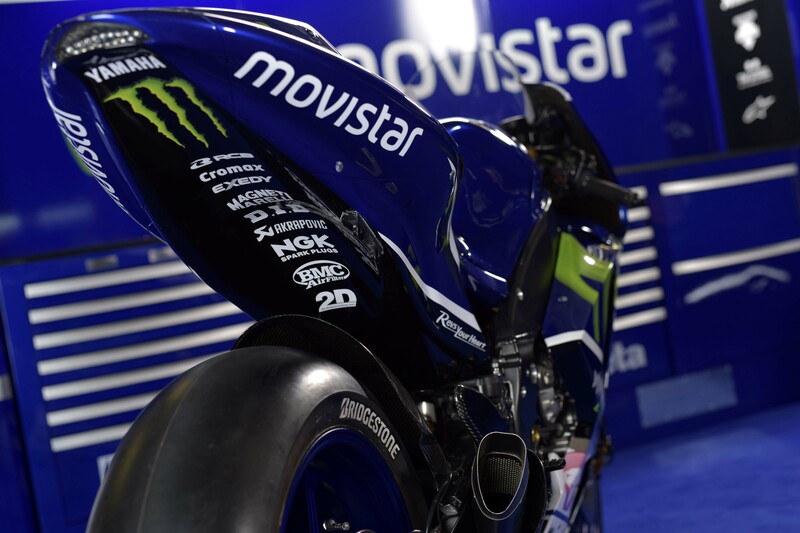 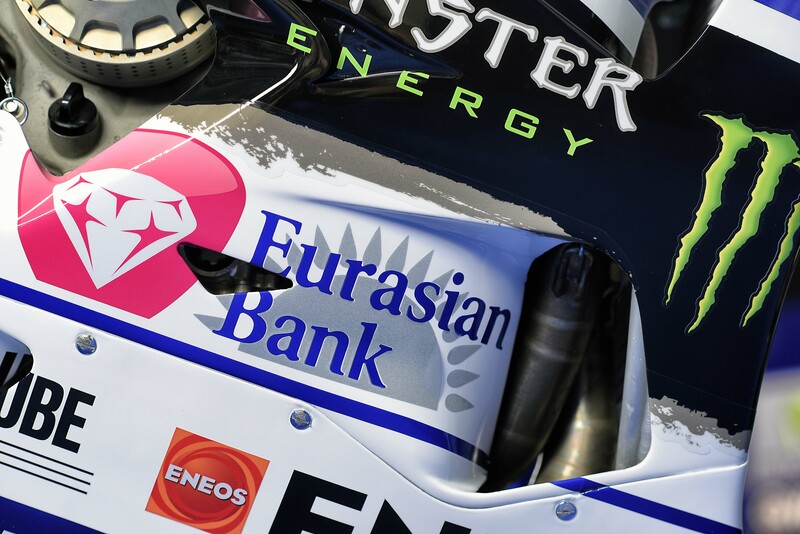 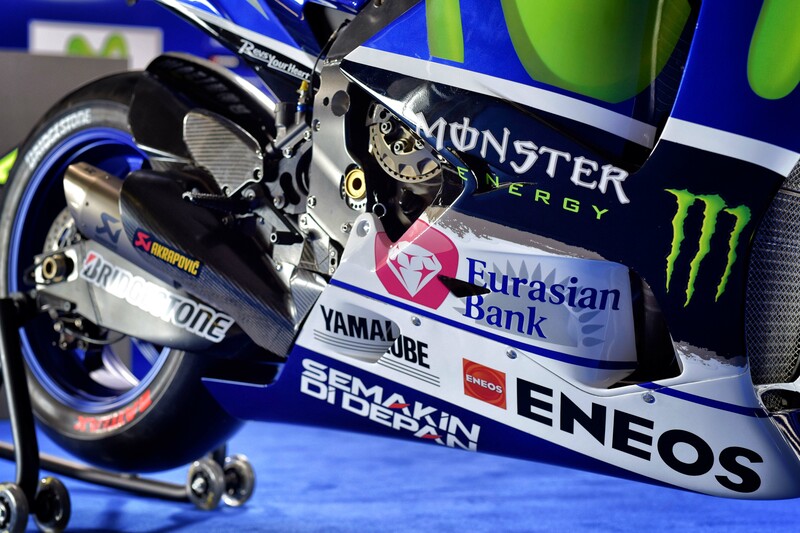 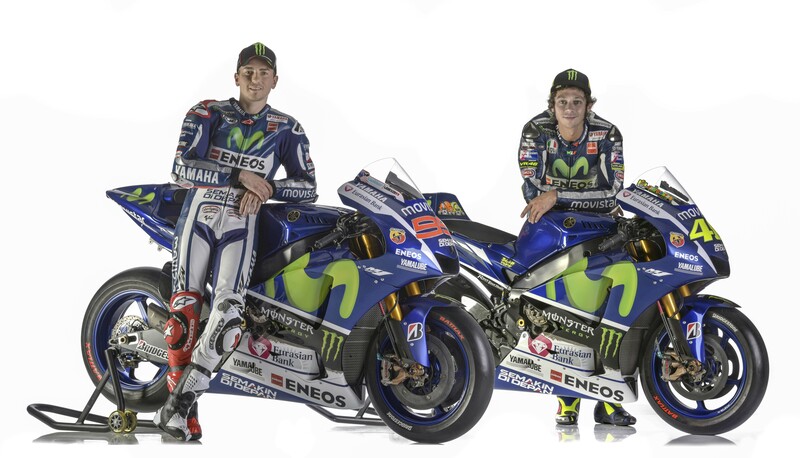 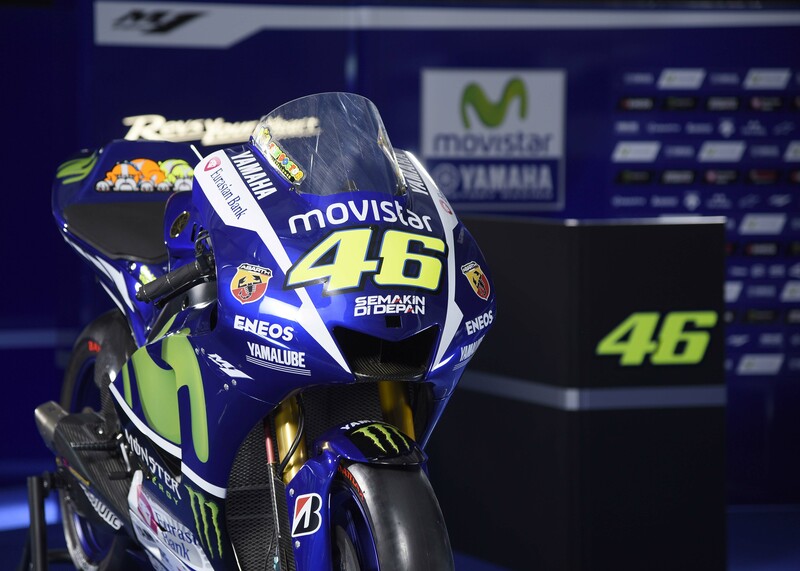 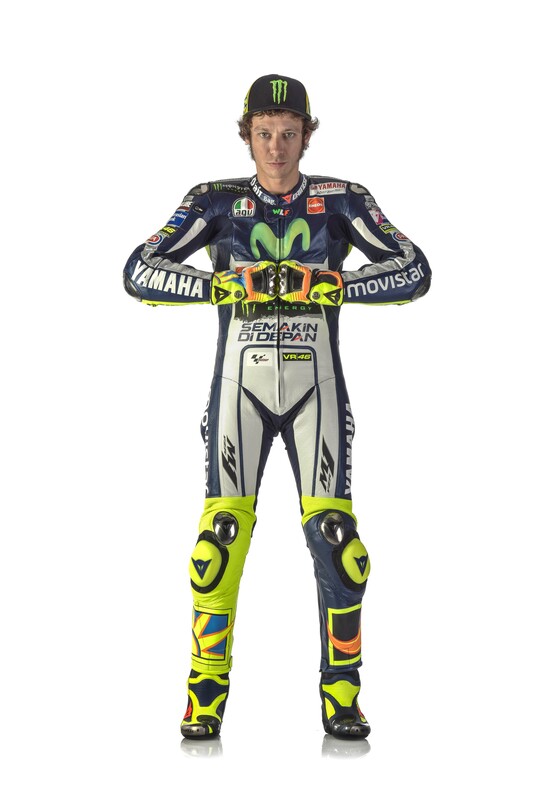 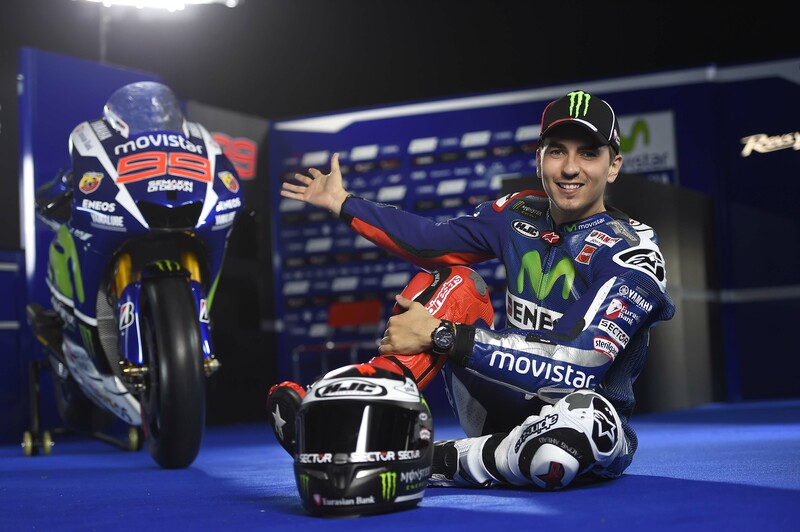 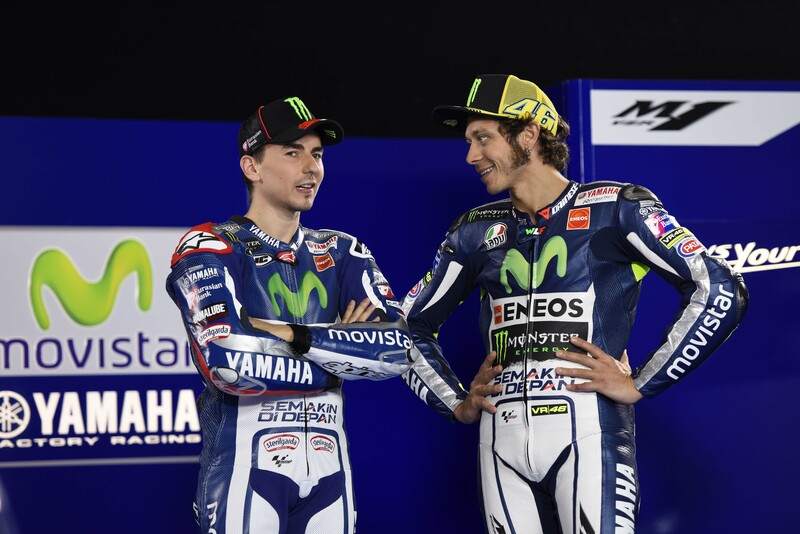 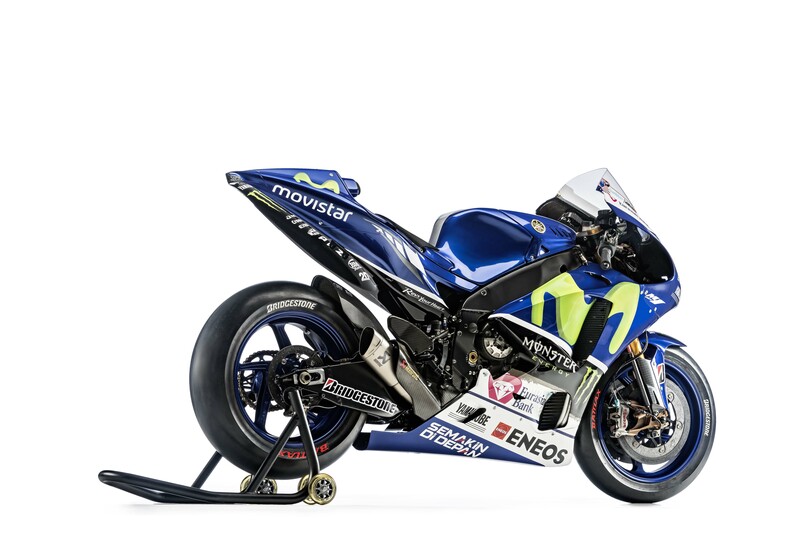 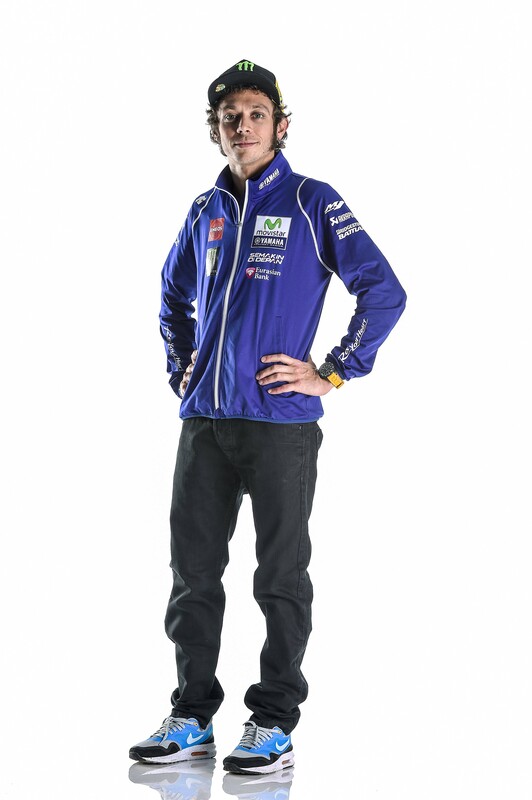 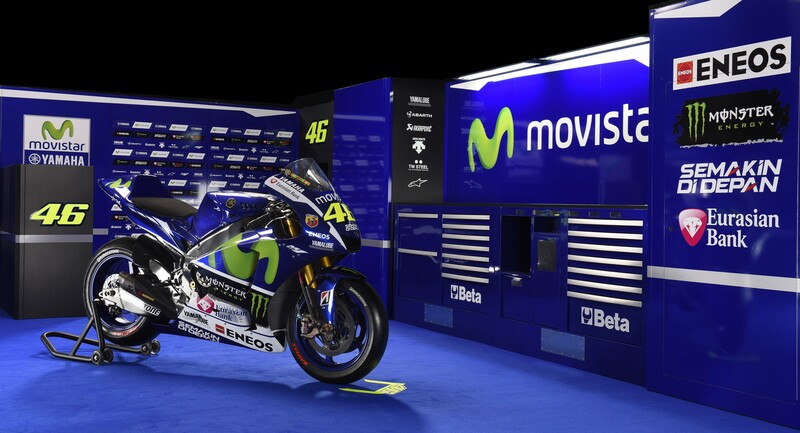 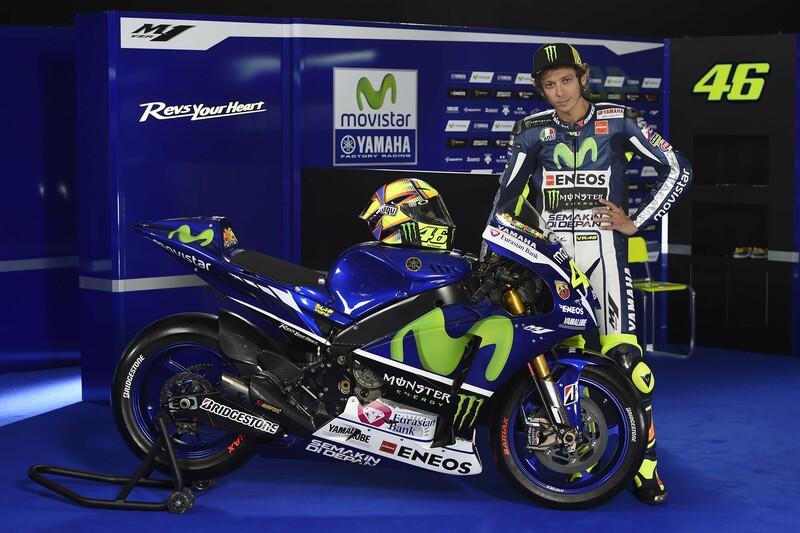 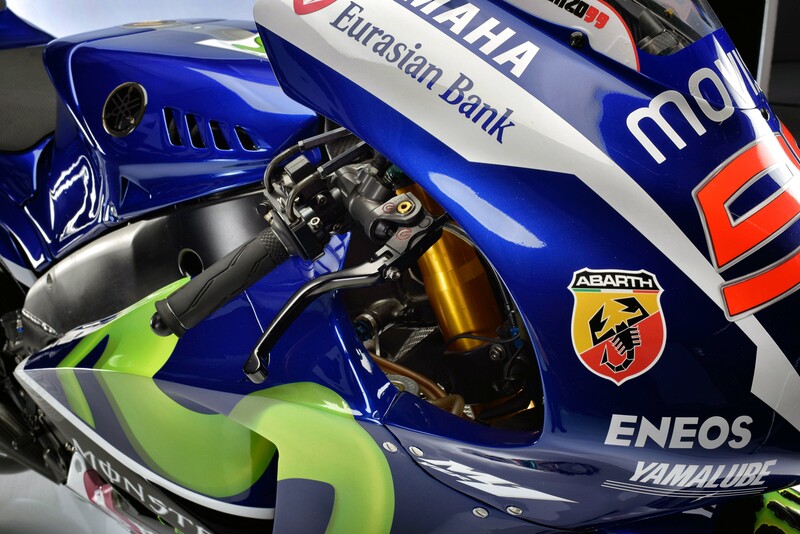 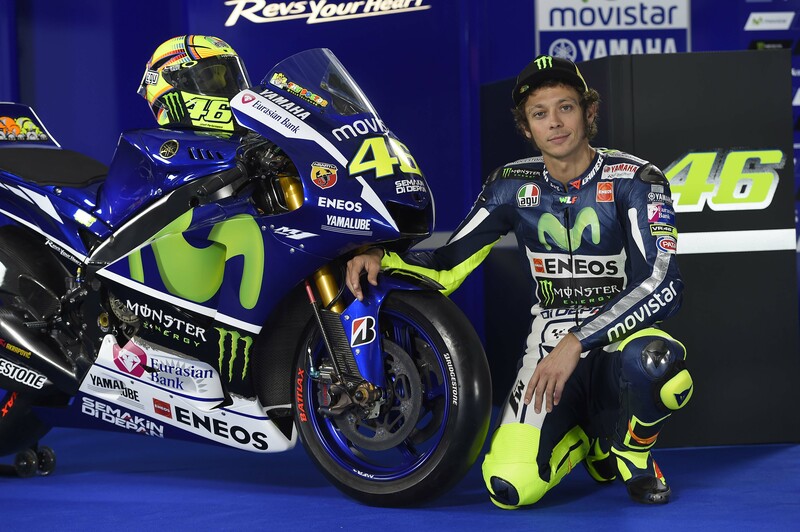 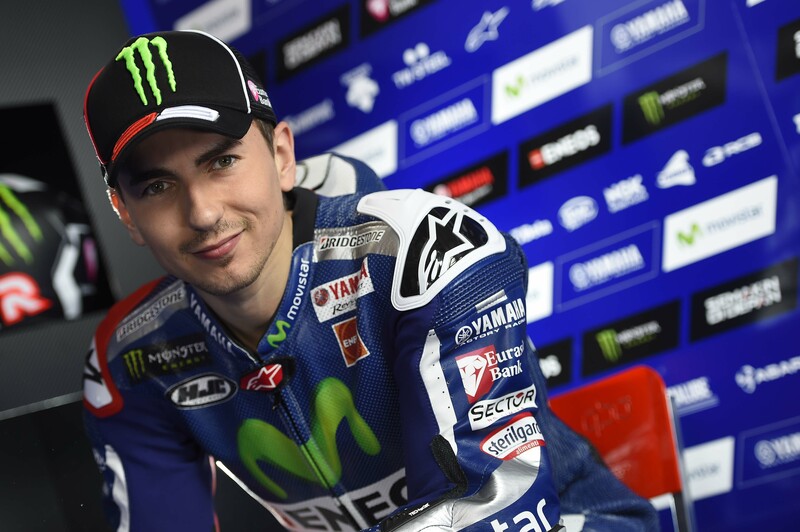 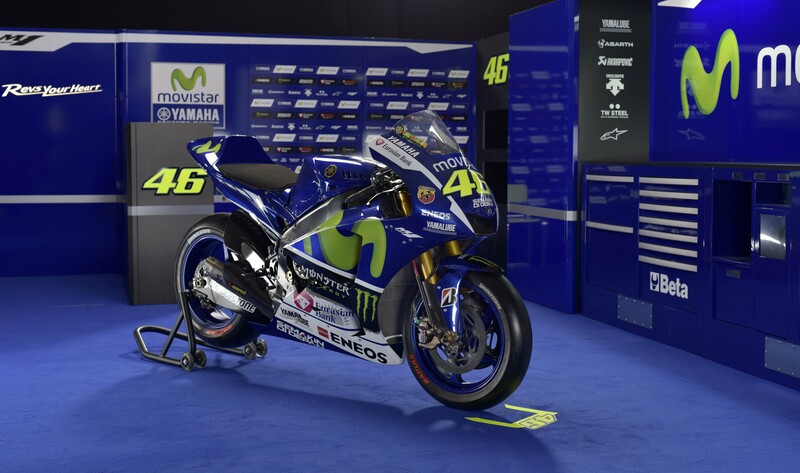 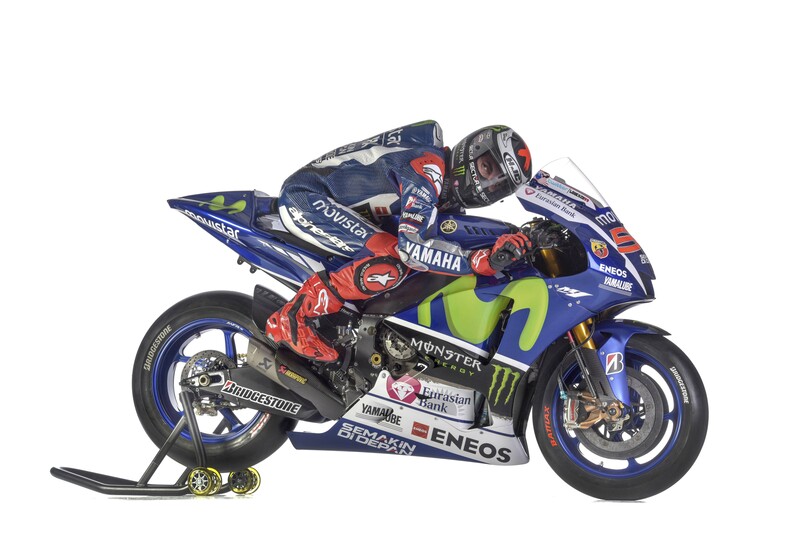 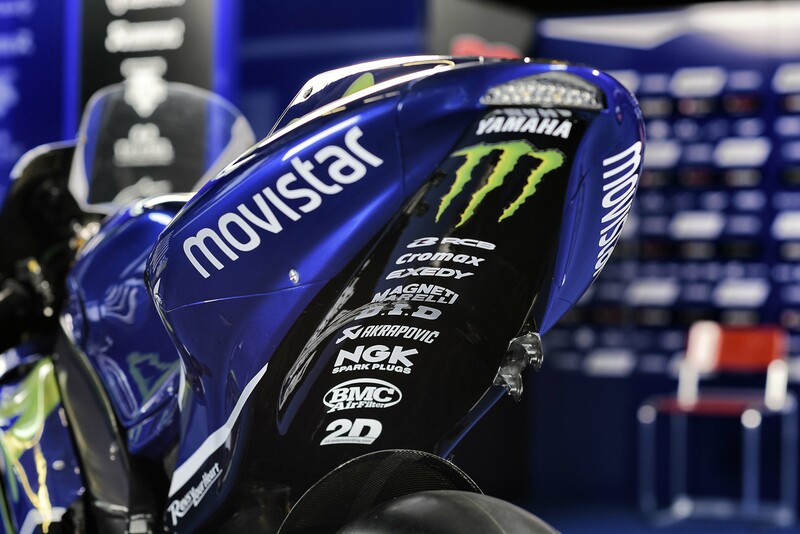 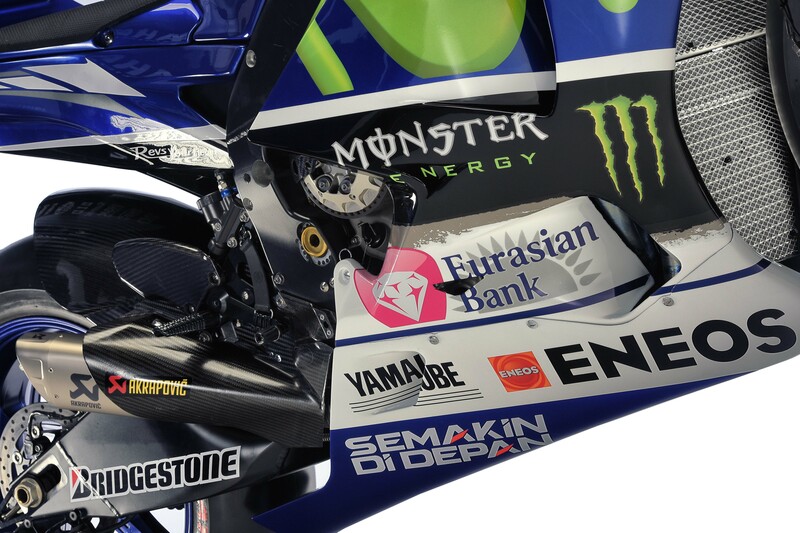 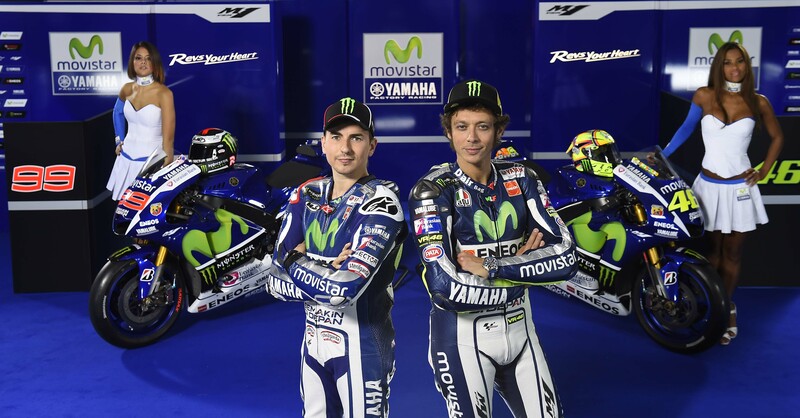 Yamaha is ready to go racing in the 2015 MotoGP World Championship, and the Japanese OEM debuted today its factory team and racing livery. 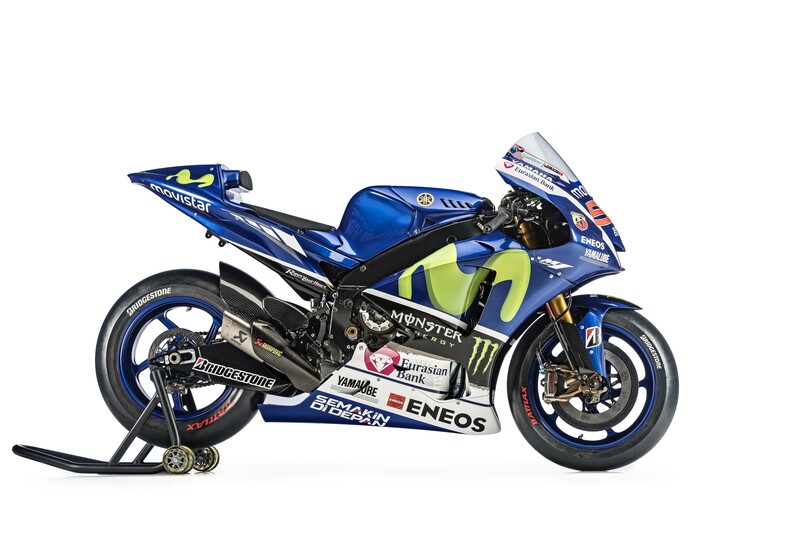 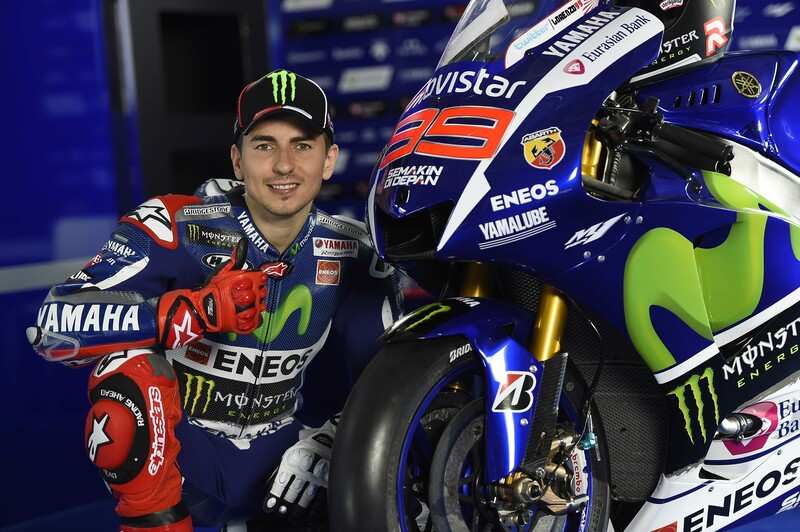 Of course riding for Yamaha Racing are Jorge Lorenzo and Valentino Rossi, and their weapon of choice will be the Yamaha YZR-M1 GP race bike. 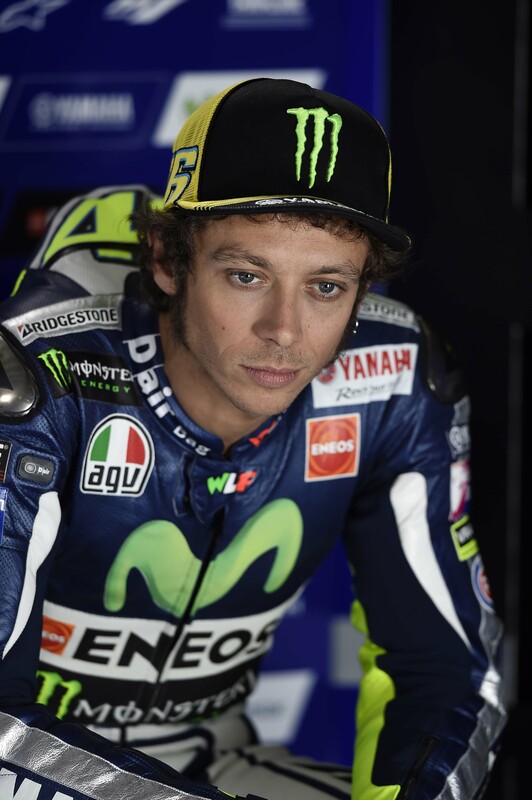 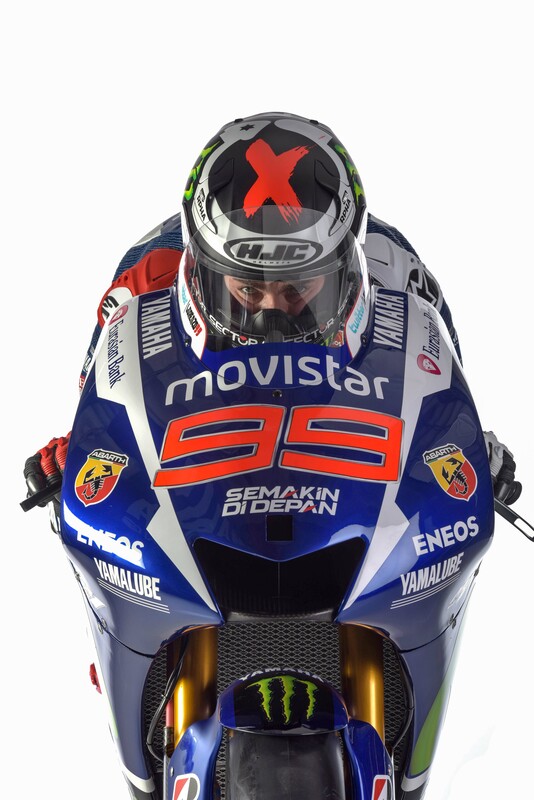 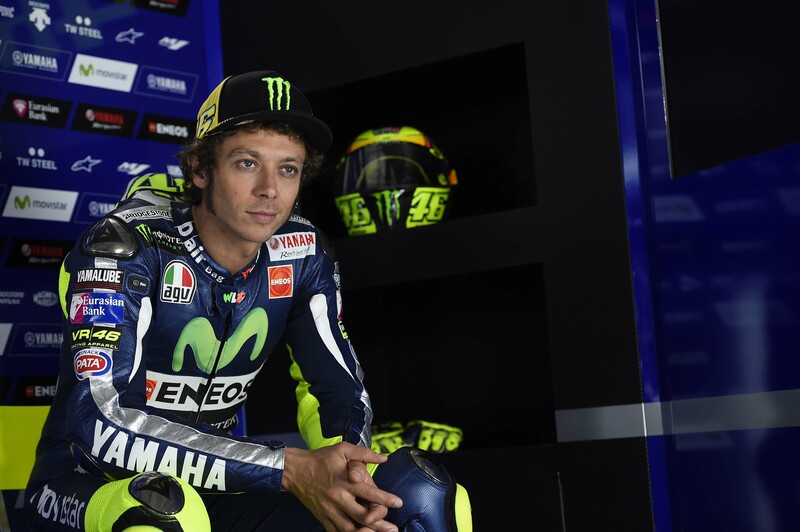 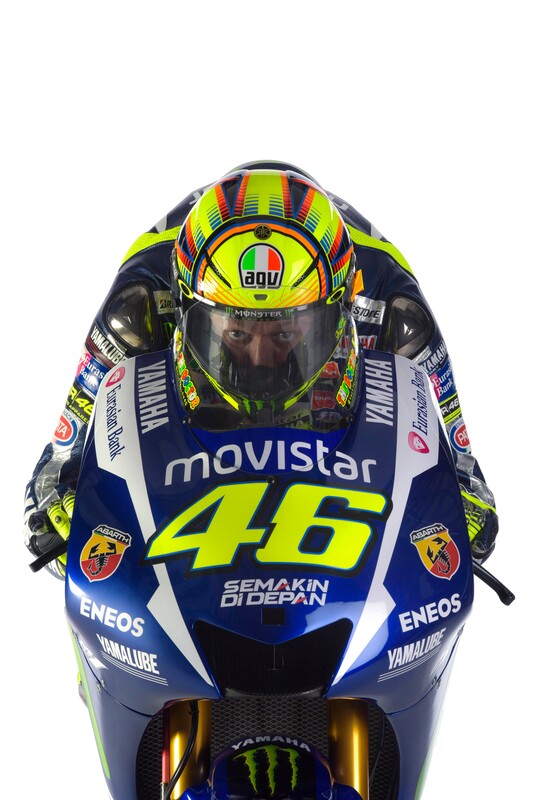 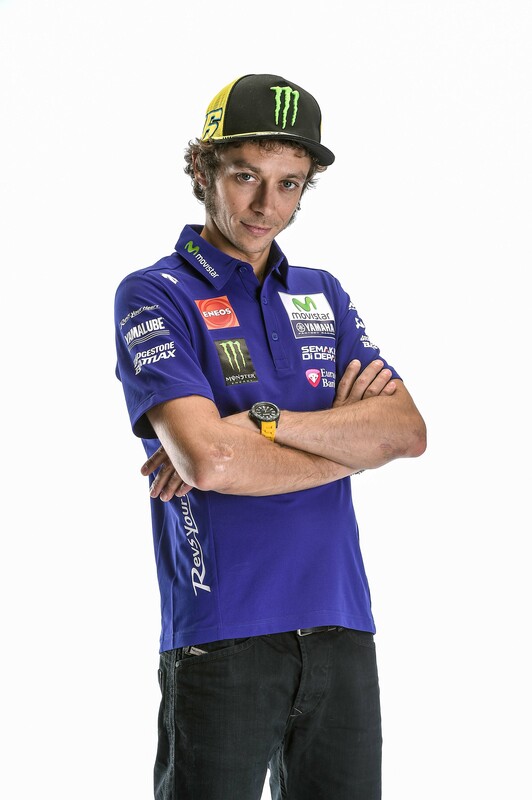 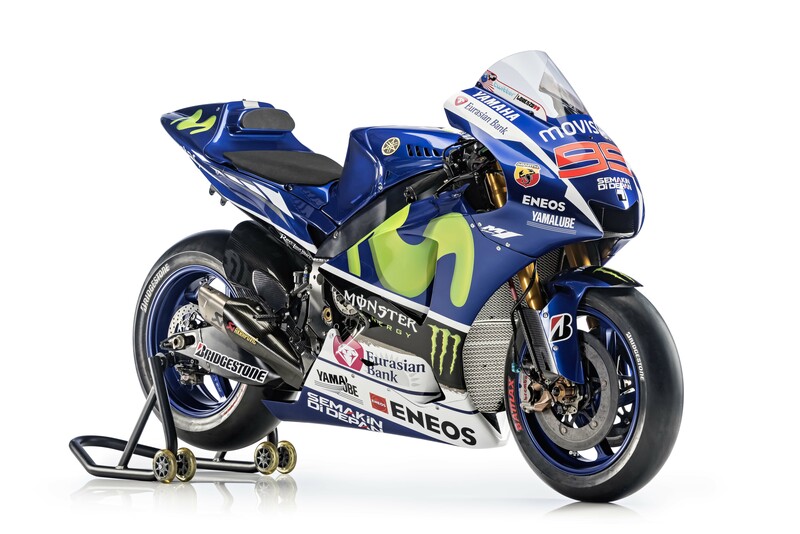 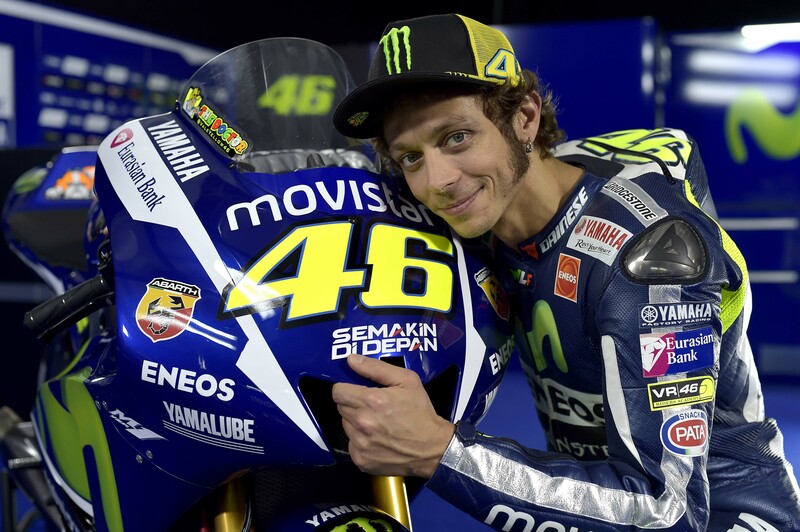 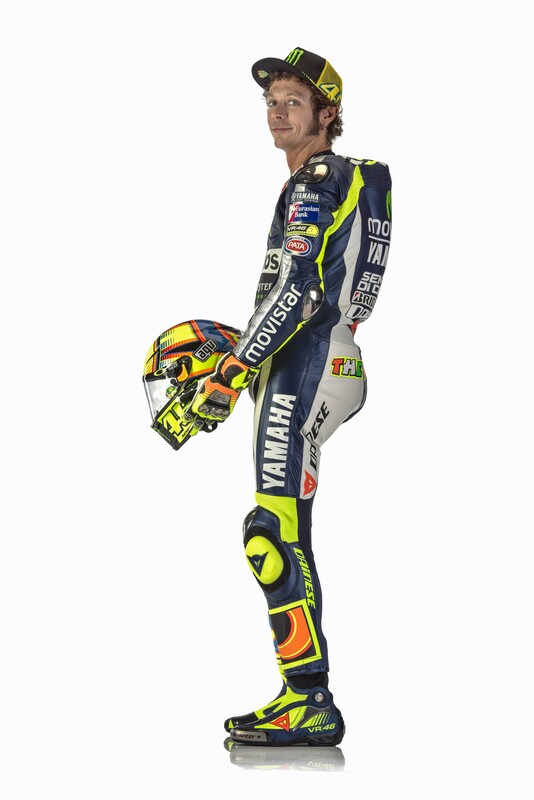 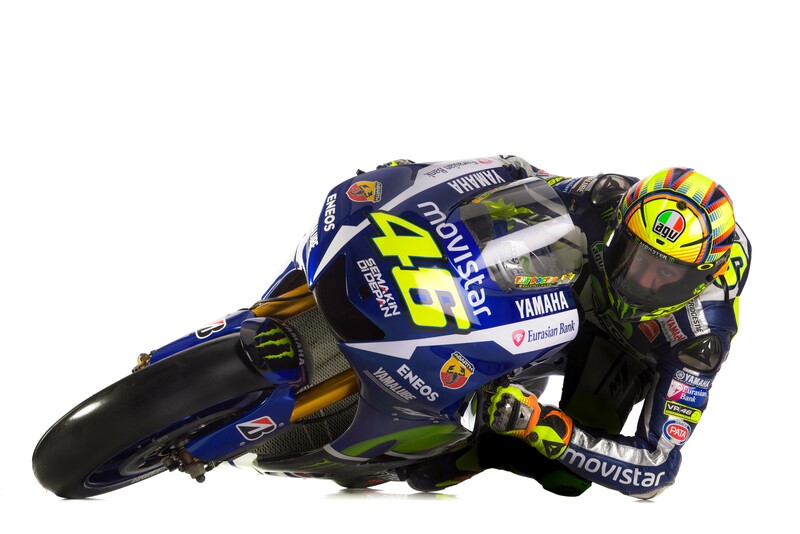 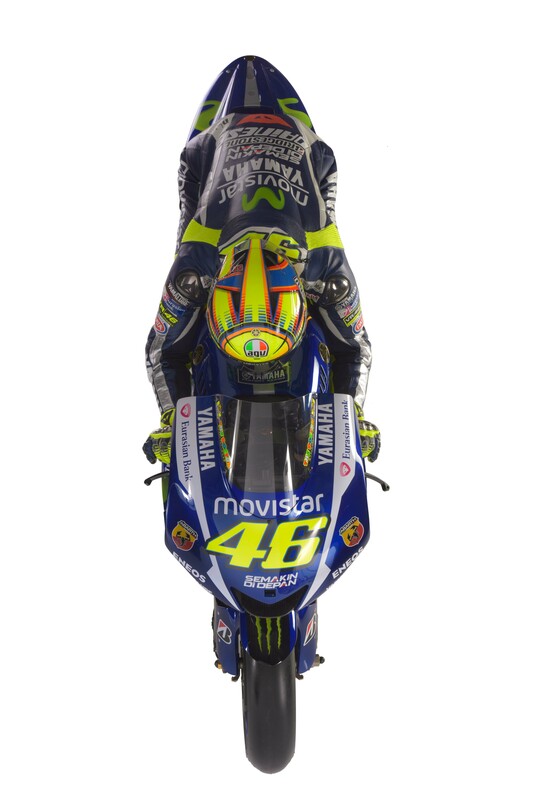 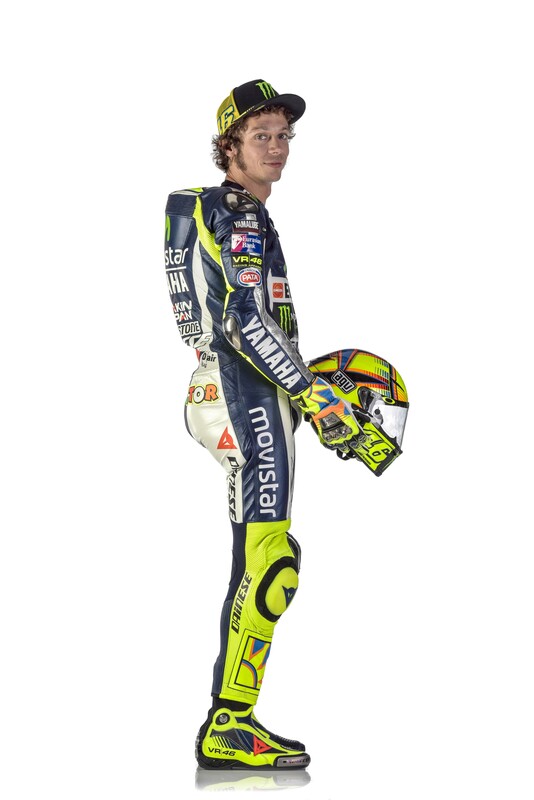 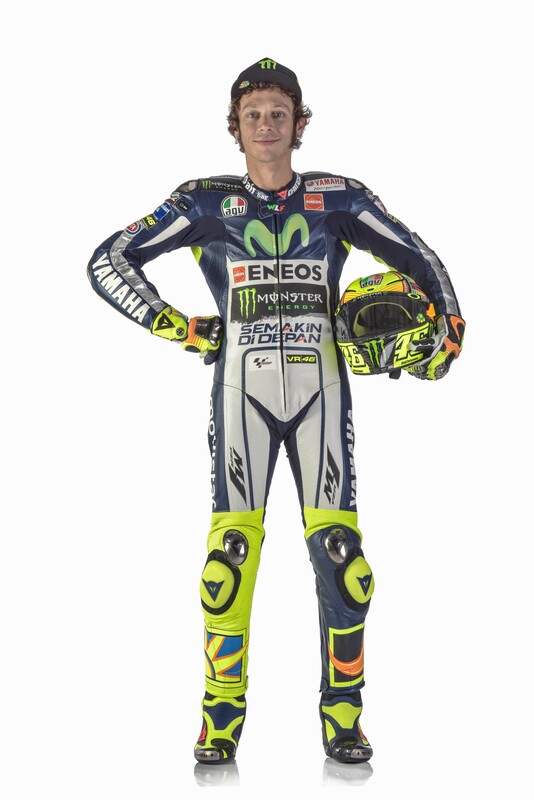 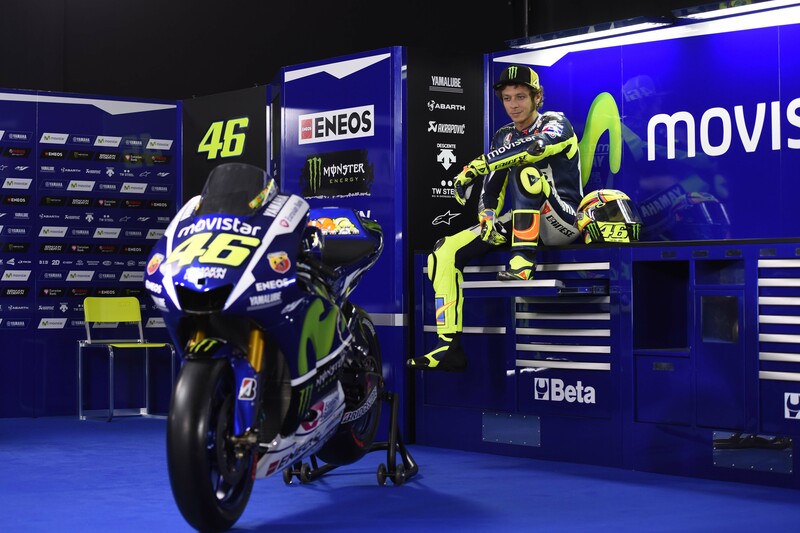 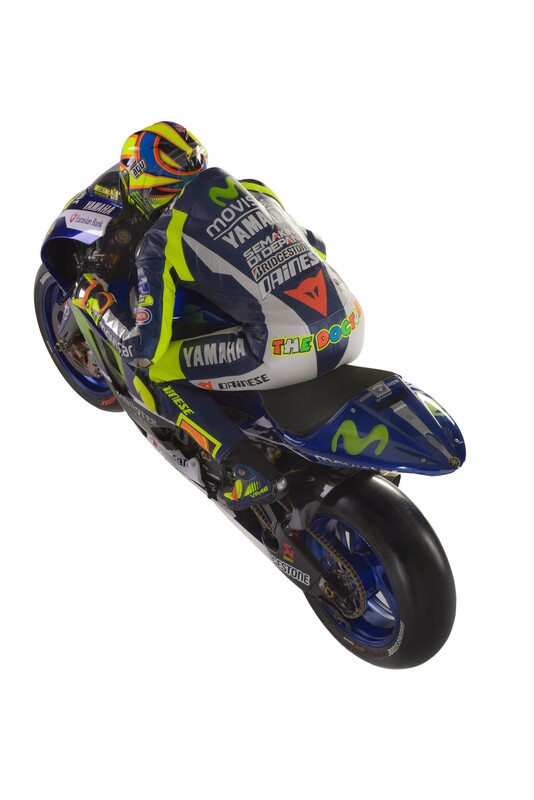 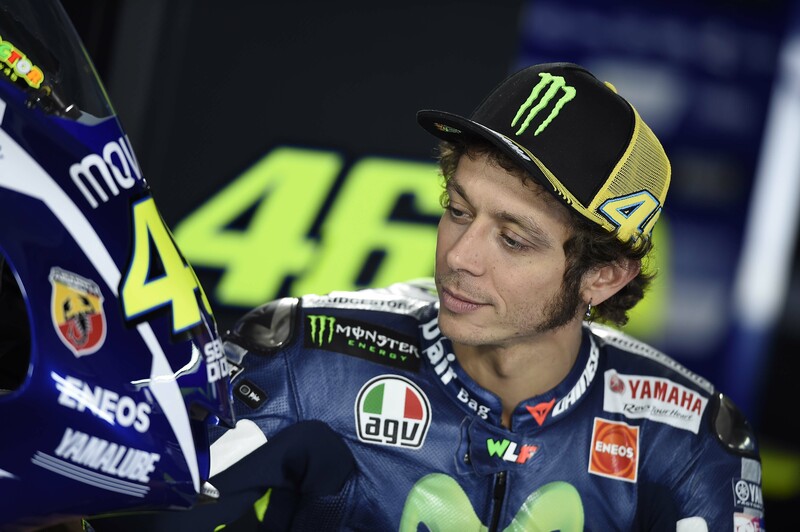 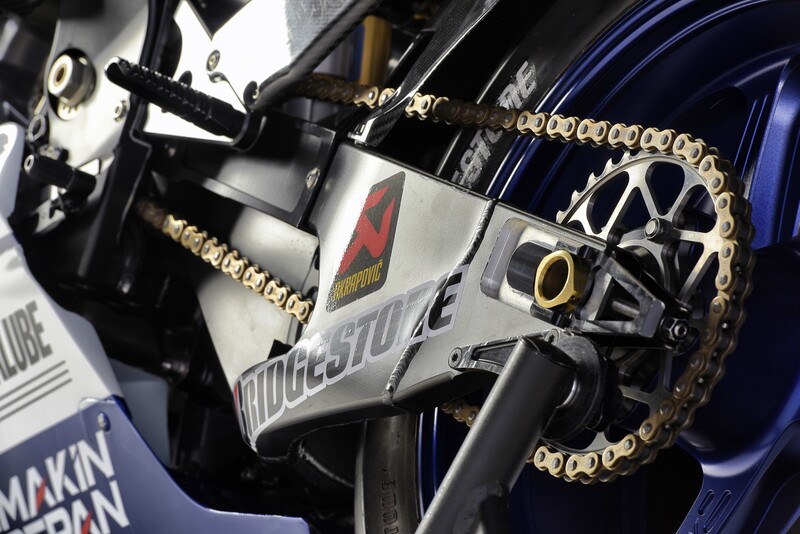 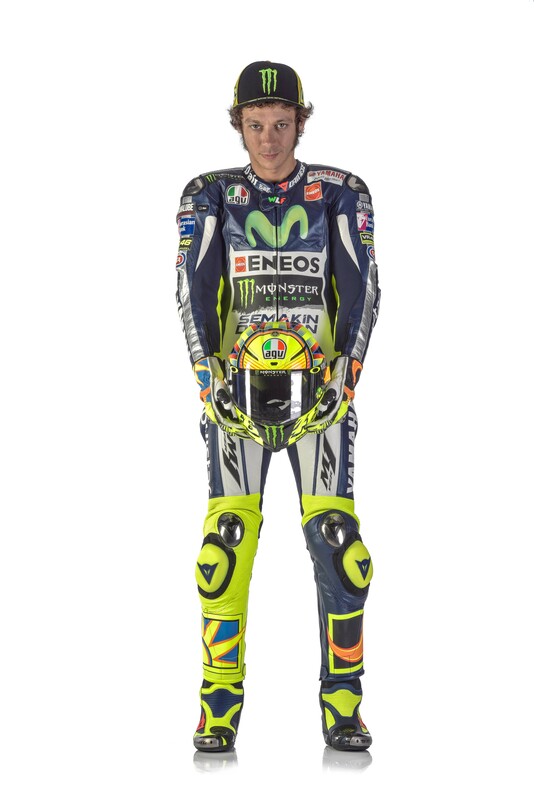 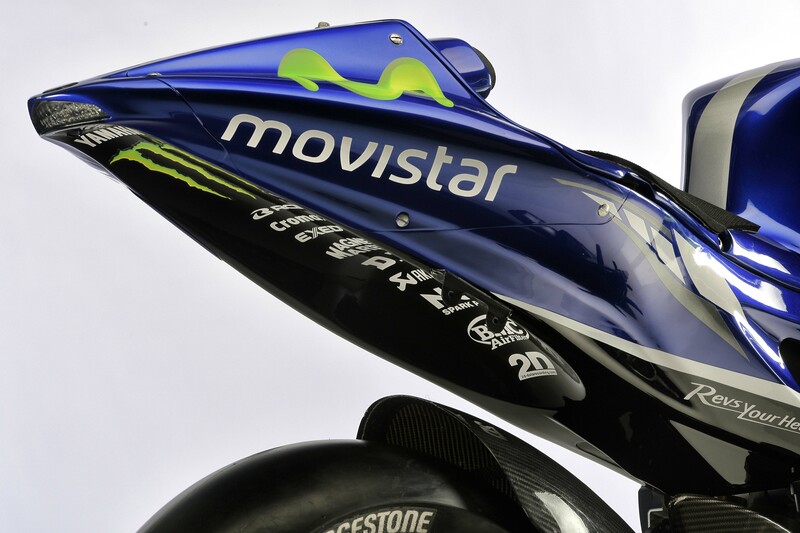 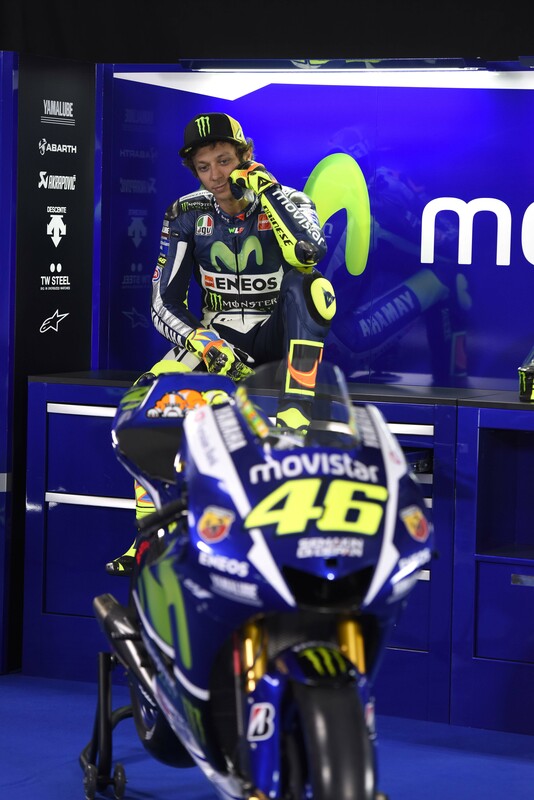 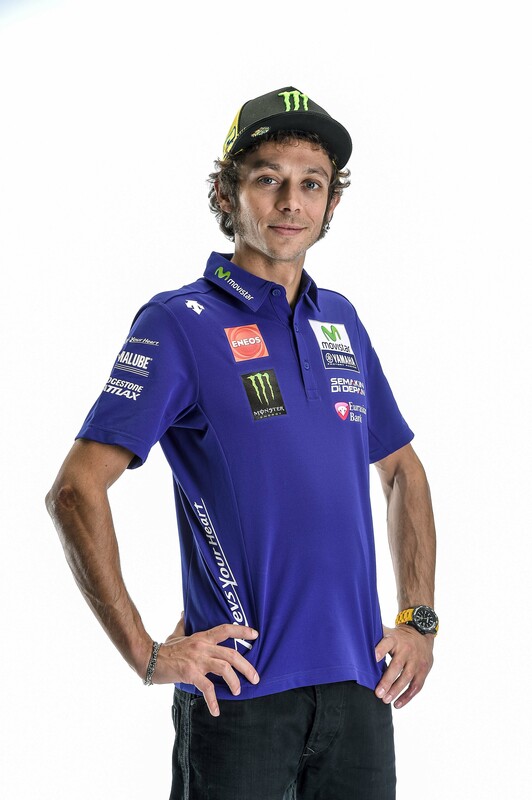 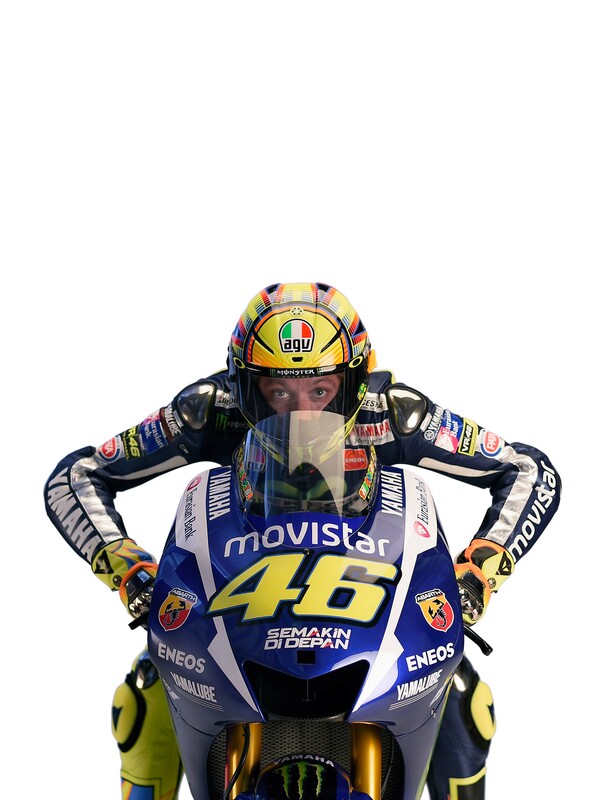 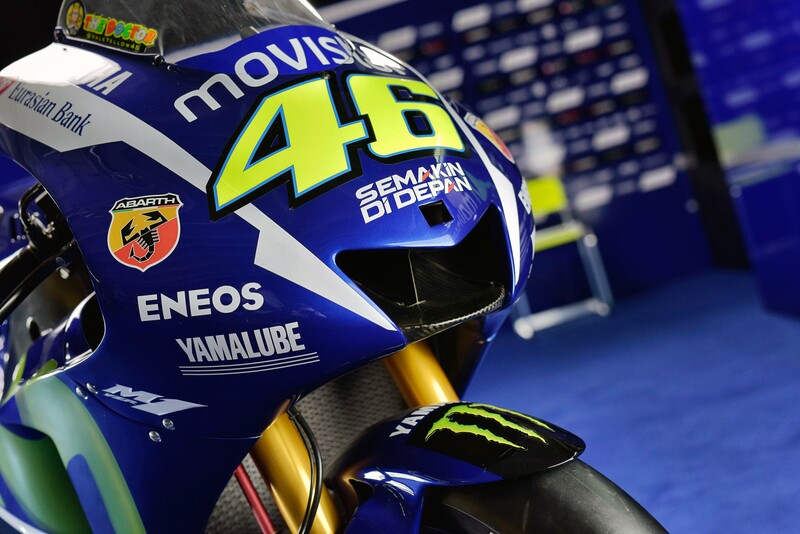 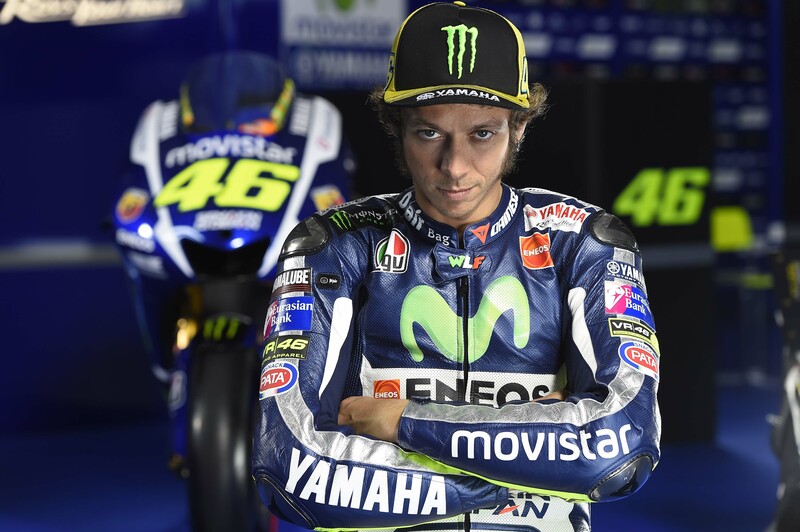 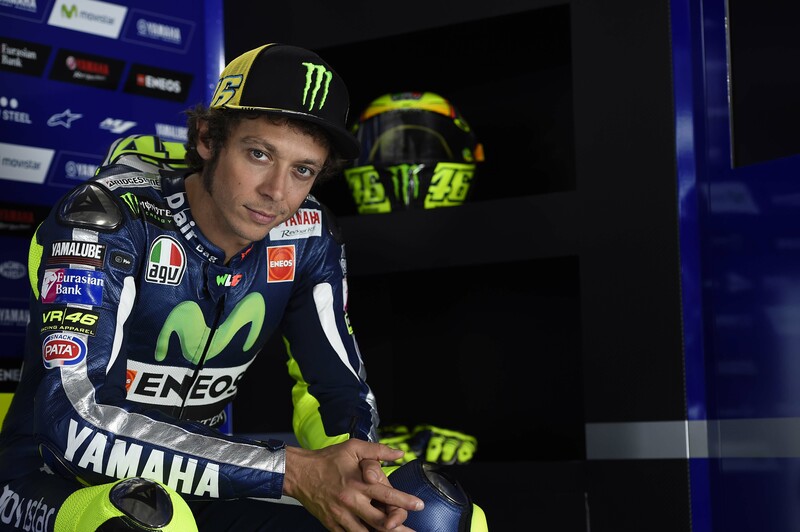 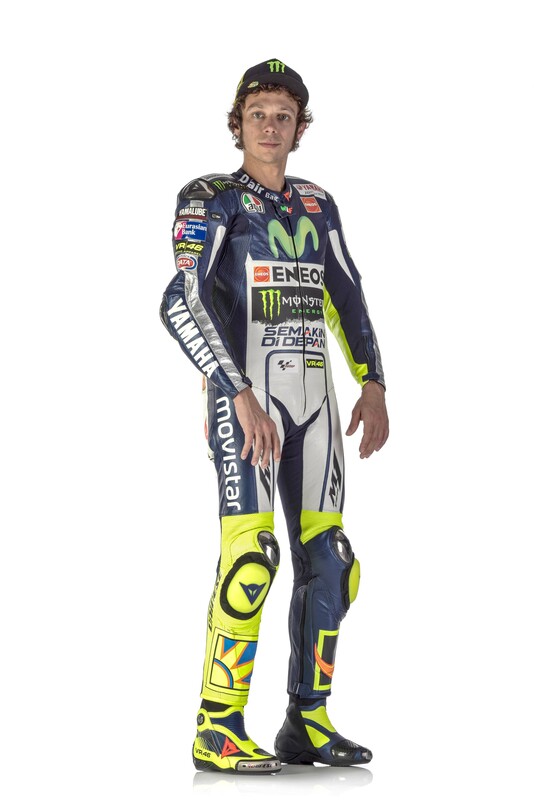 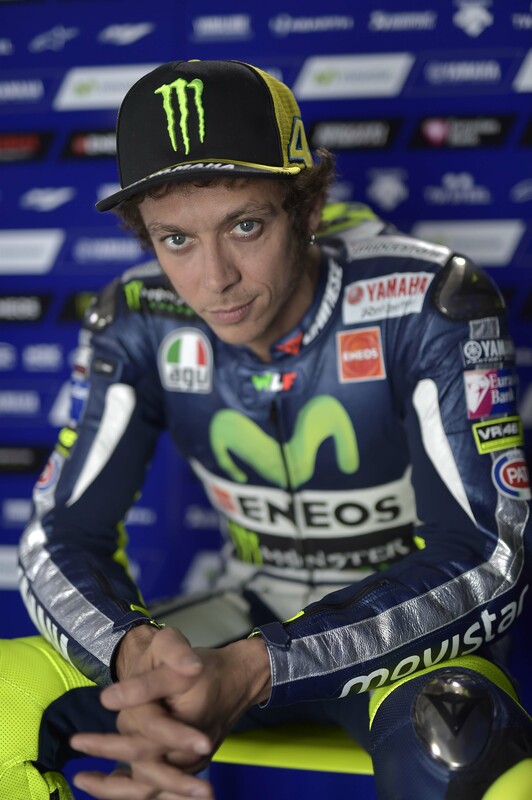 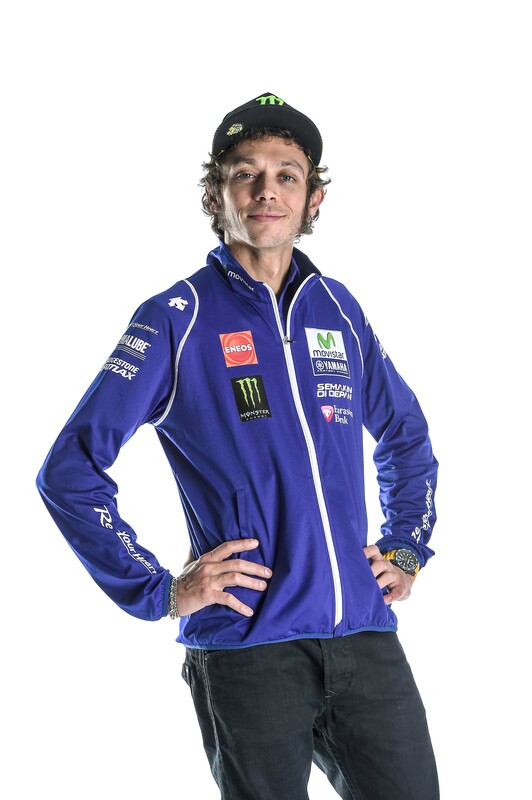 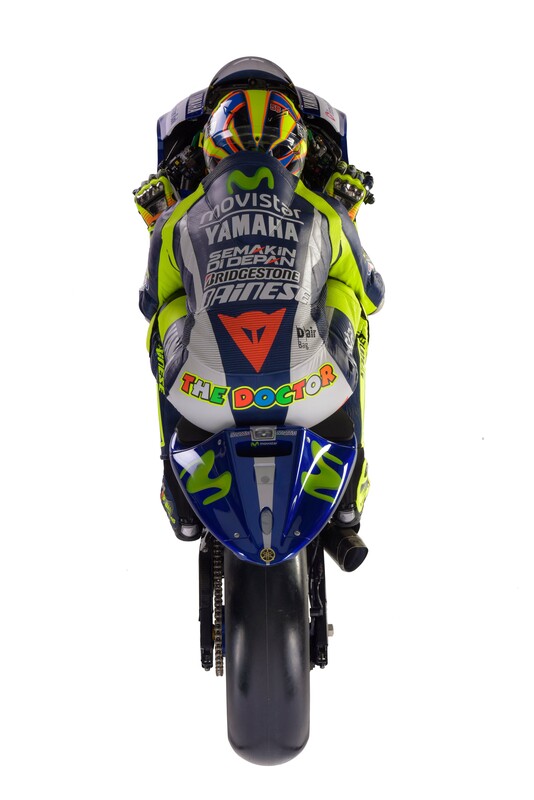 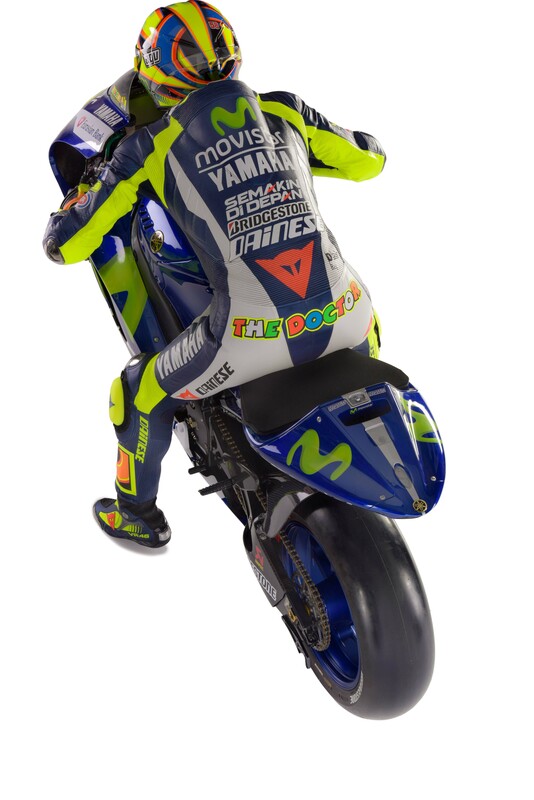 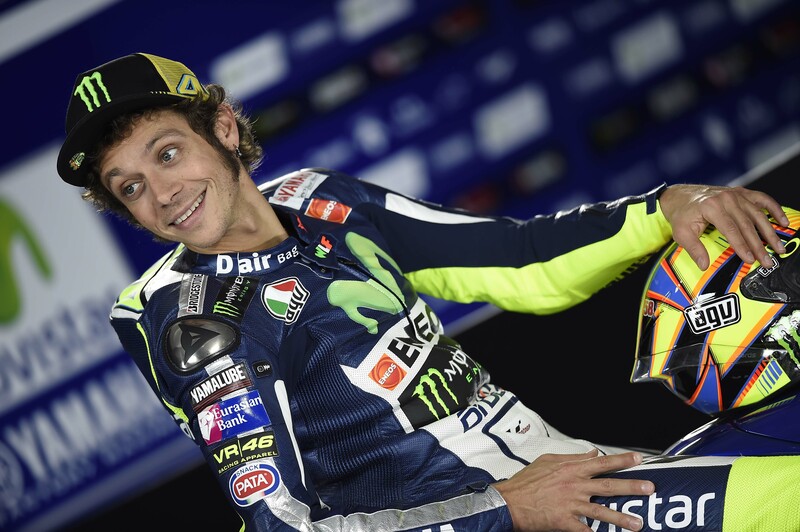 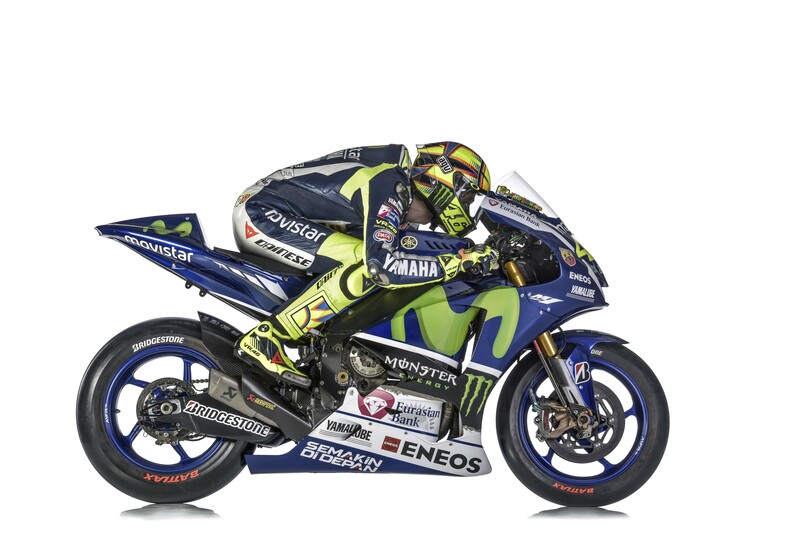 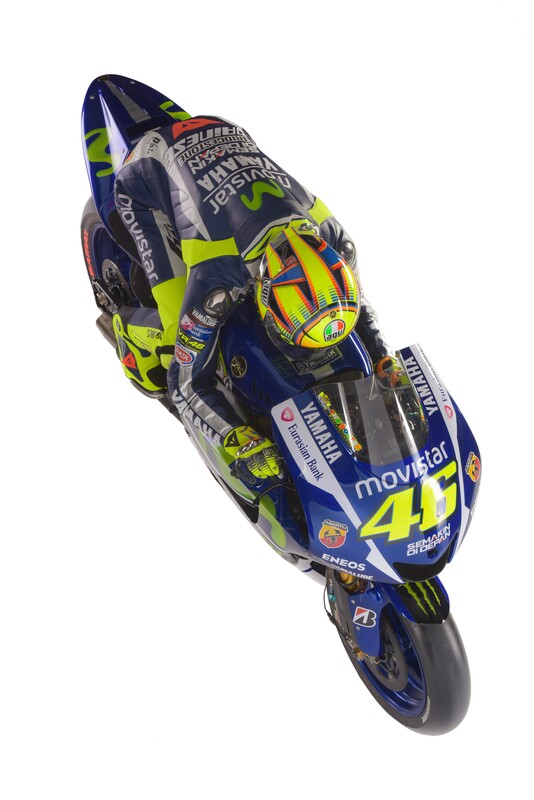 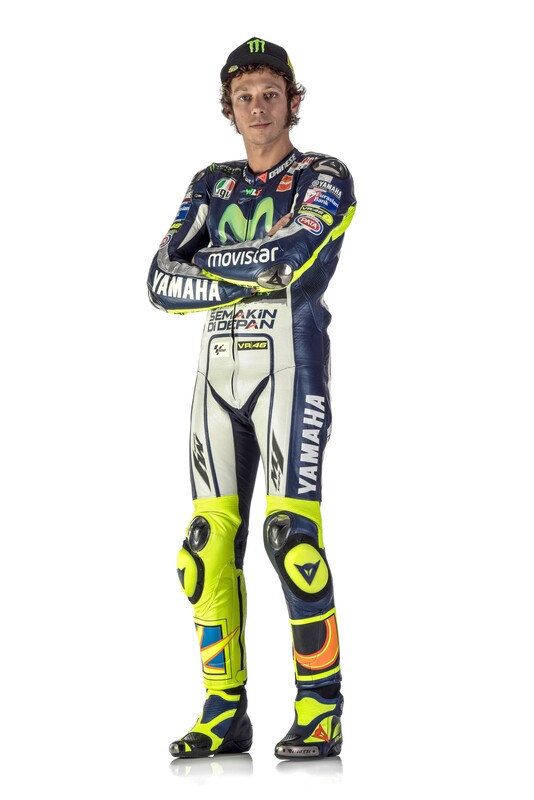 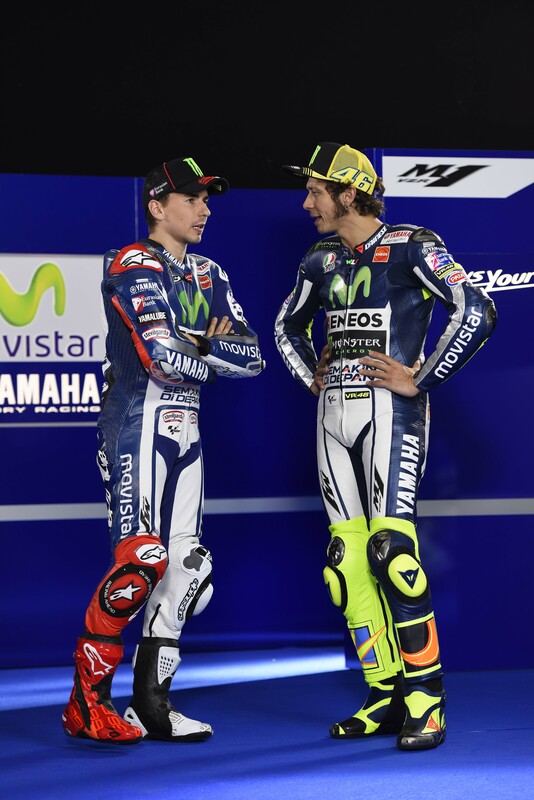 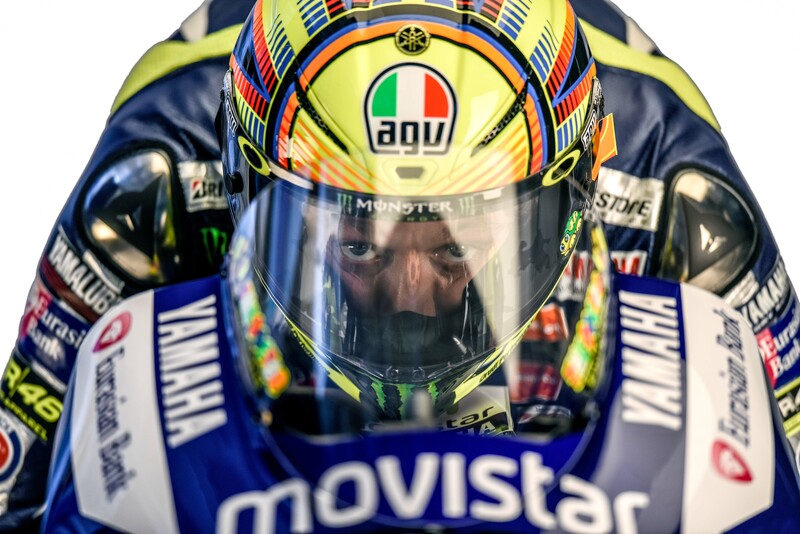 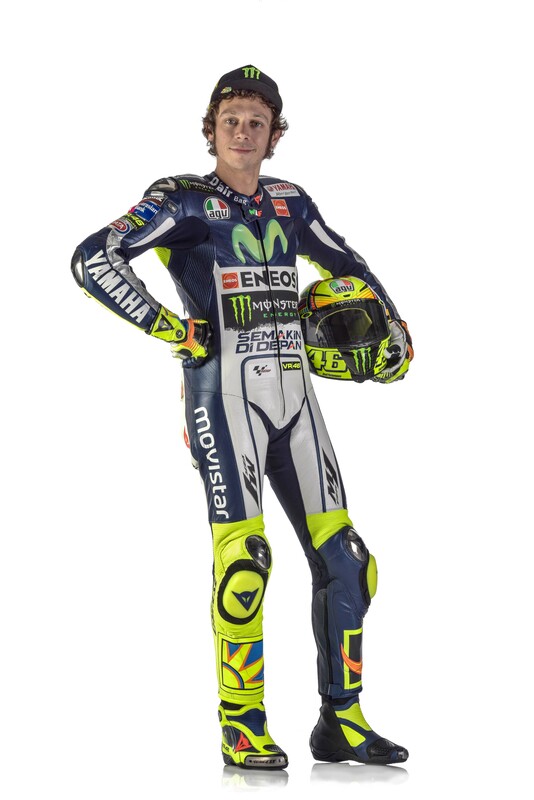 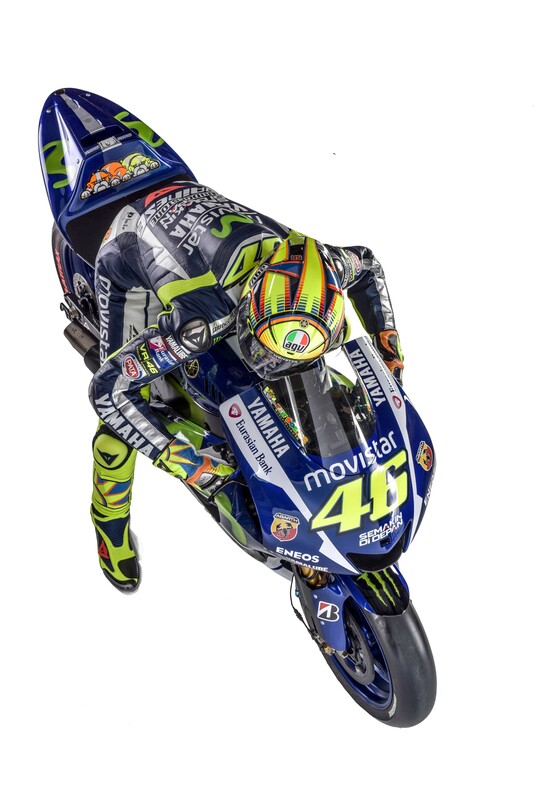 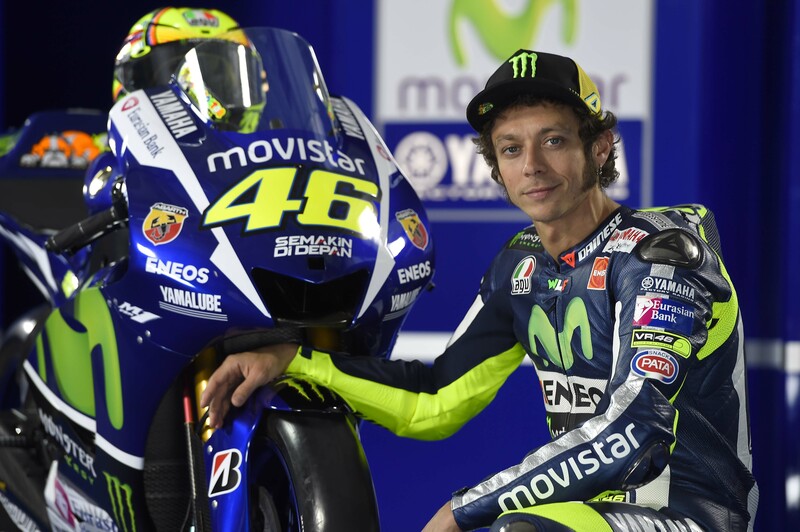 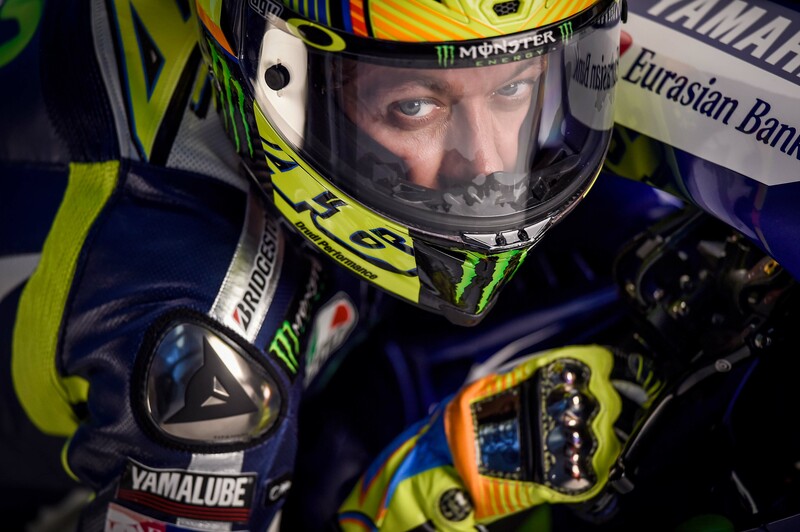 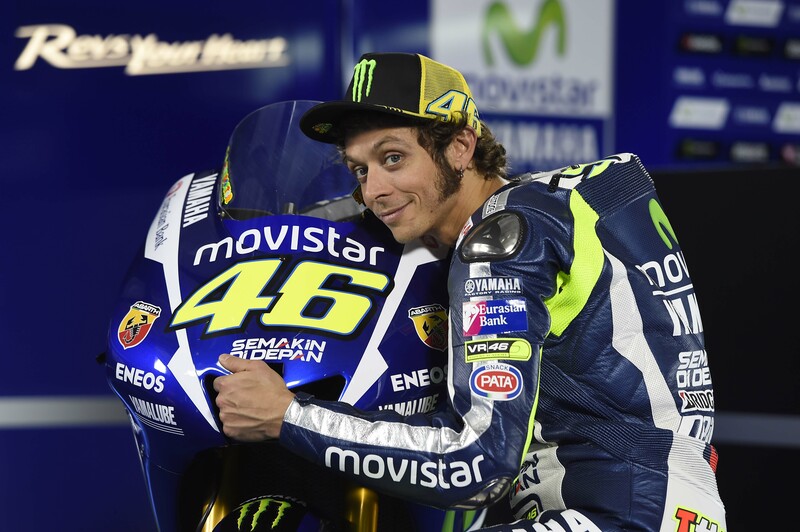 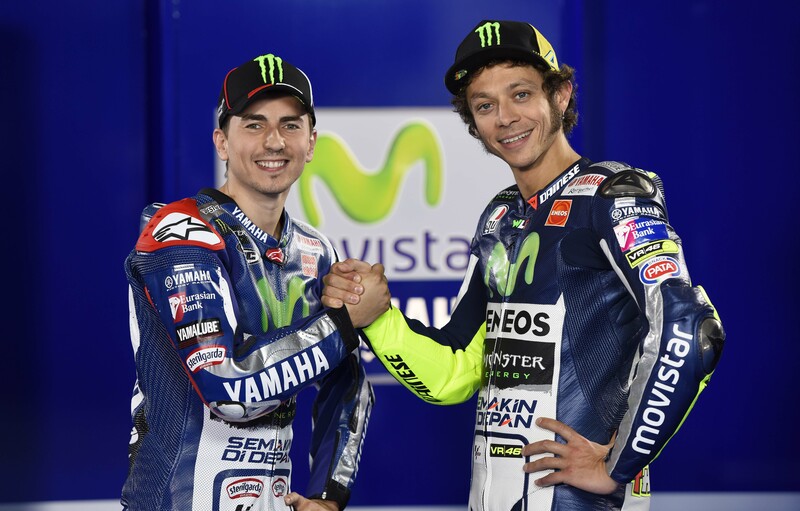 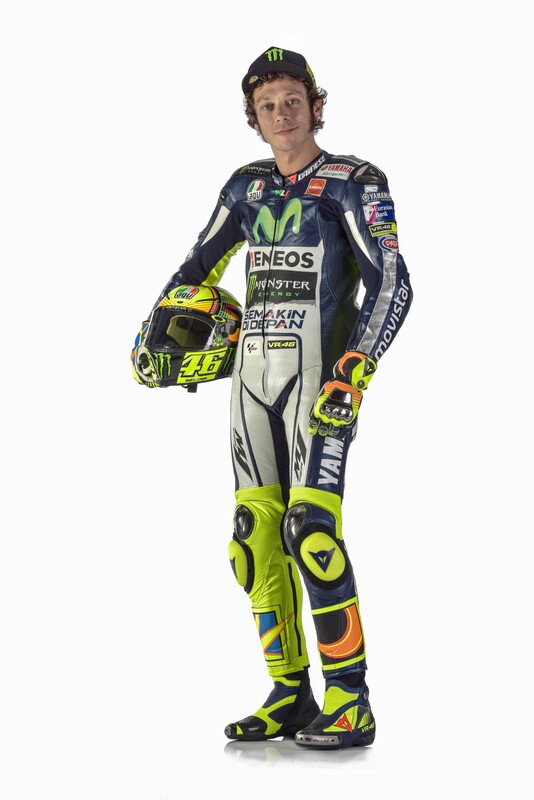 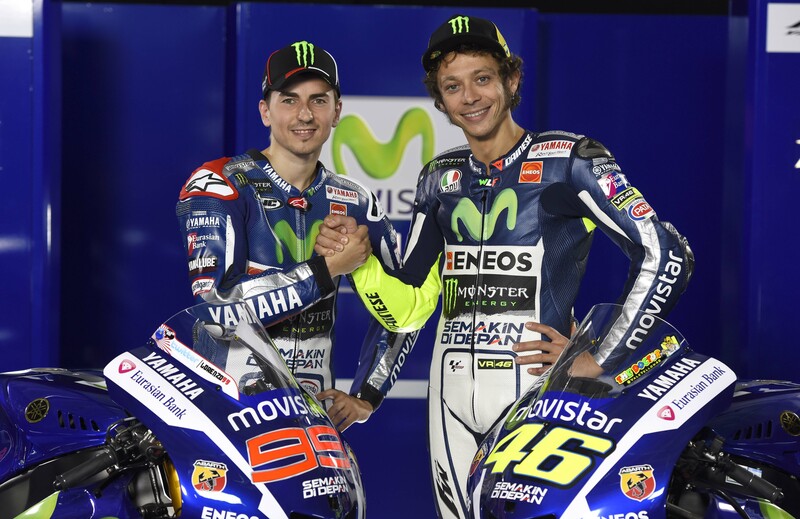 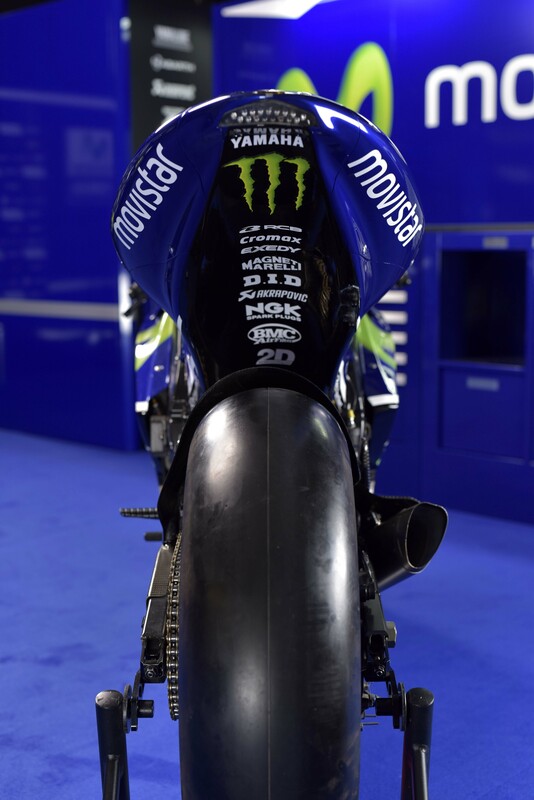 2015 does not see too much changing in the MotoGP rulebook, so the 2015 Yamaha YZR-M1 is fairly close in spec to the 2014 model, though you can be certain that Yamaha and its team of engineers have not been wasting the off-season time with idle hands. 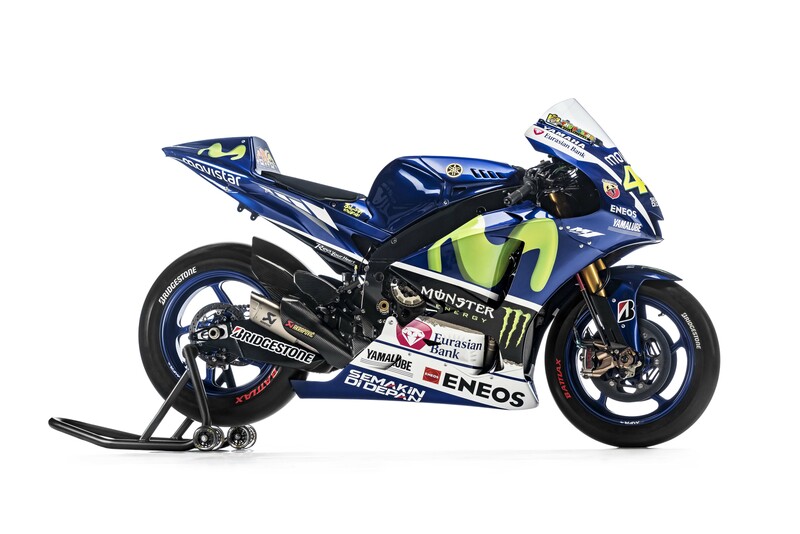 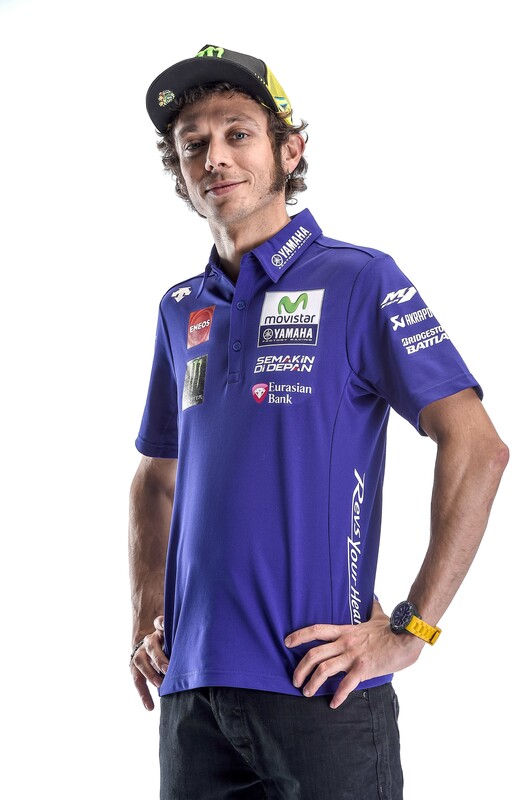 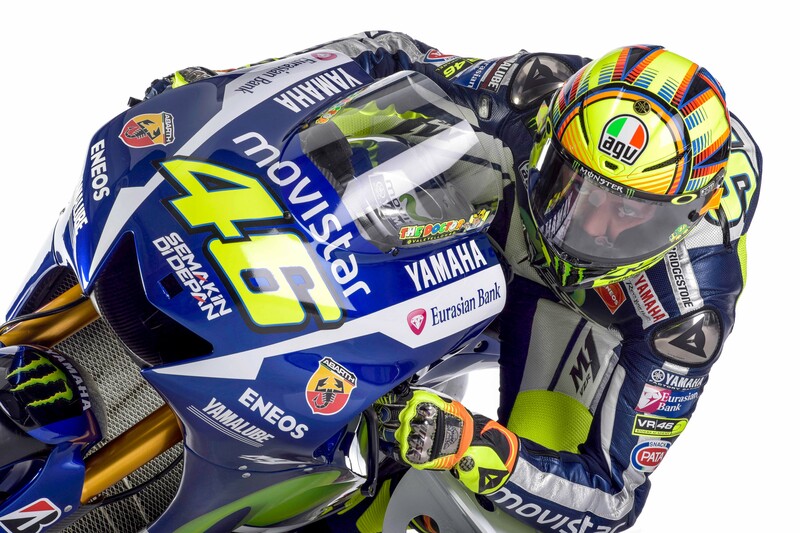 This season sees Abarth, the tuning brand of Fiat, as an official sponsor of the Yamaha MotoGP team, re-igniting the two company’s previous collaboration when both Rossi and Edwards worked for the Iwata-based manufacturer. 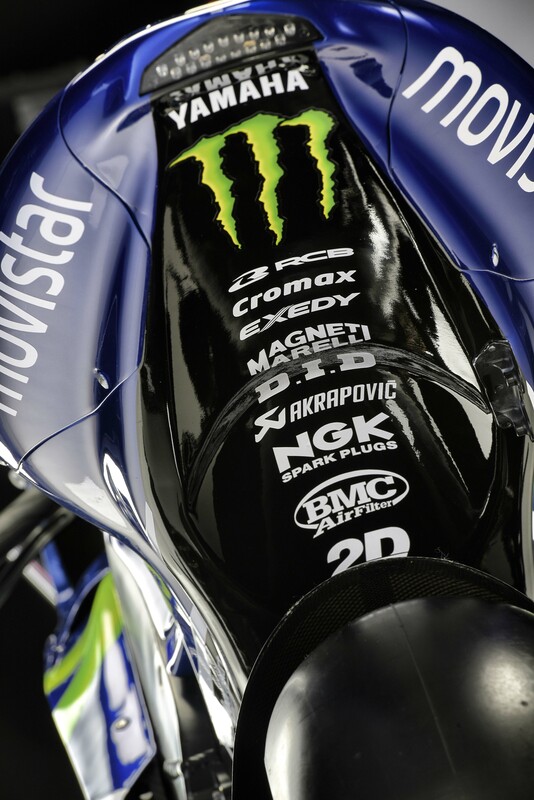 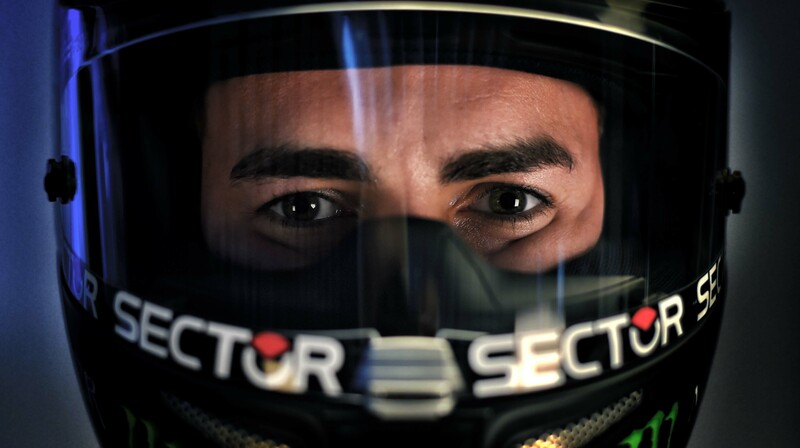 We won’t bore you with anymore details, we know you came for the high-resolution photos. 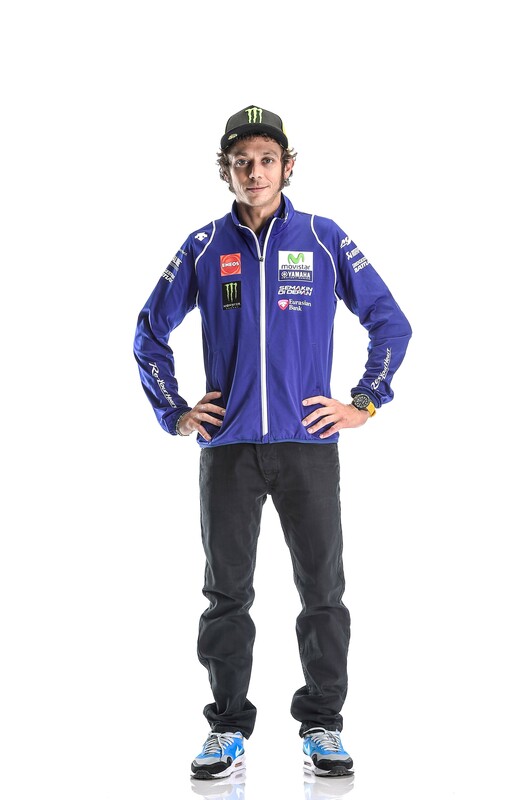 You’ll find plenty of them, in all their bandwidth-busting glory, after the jump.